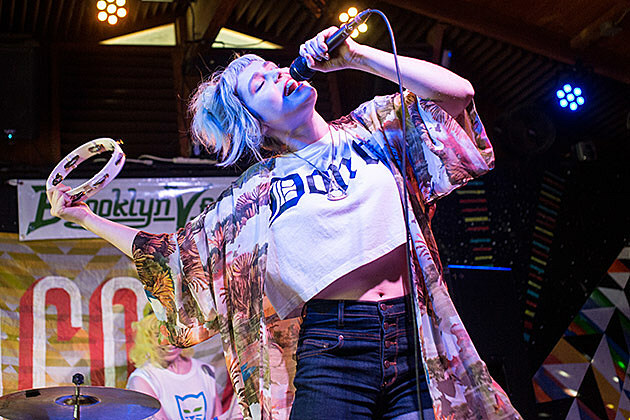 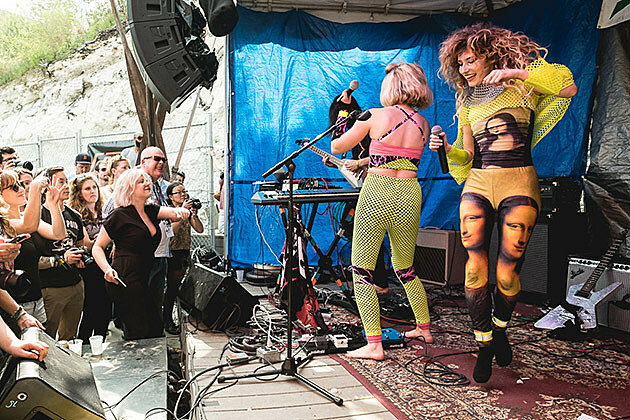 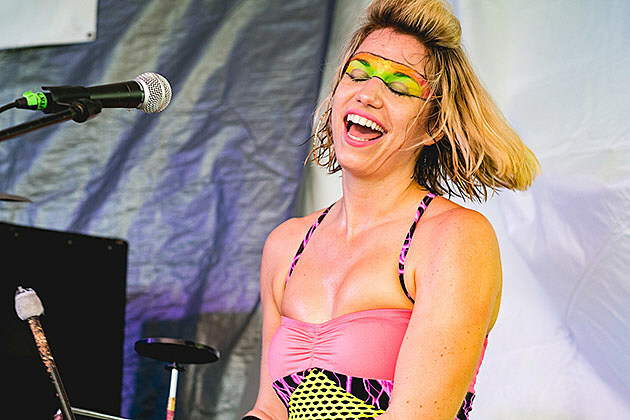 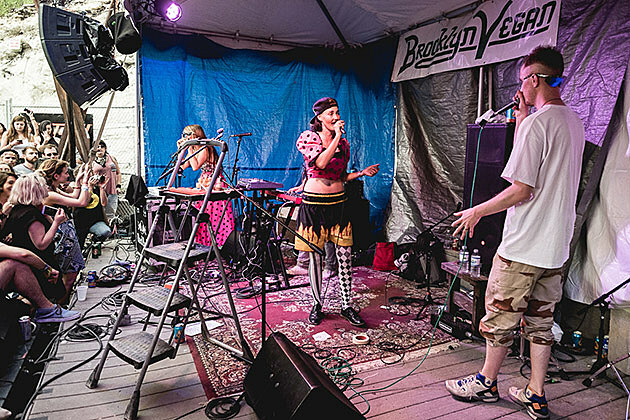 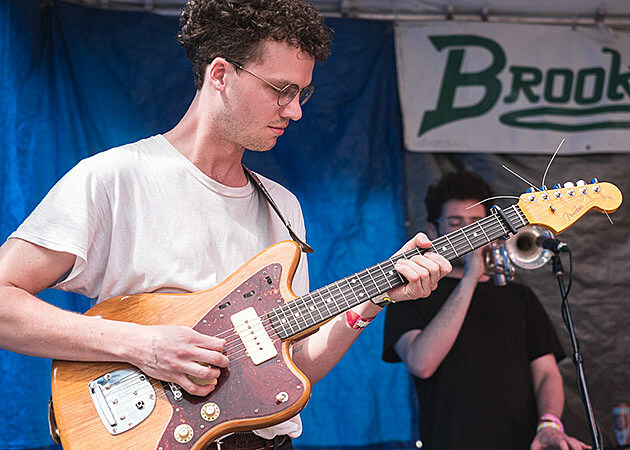 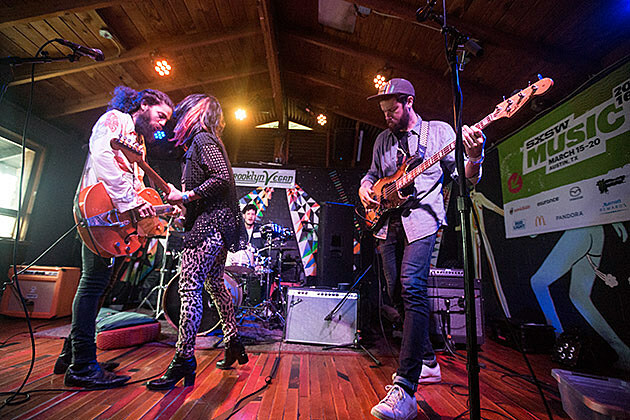 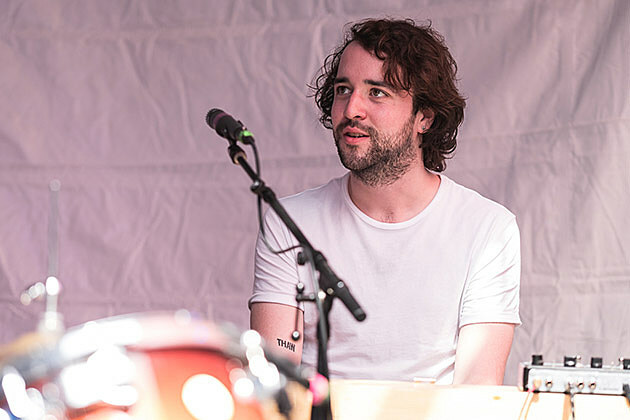 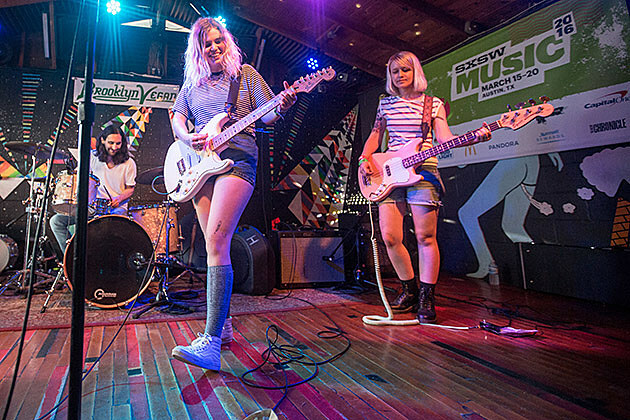 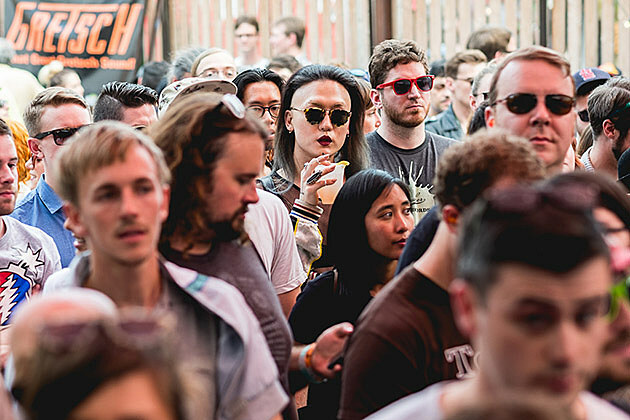 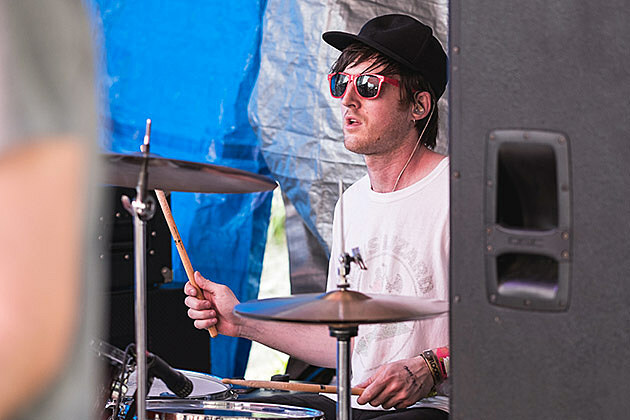 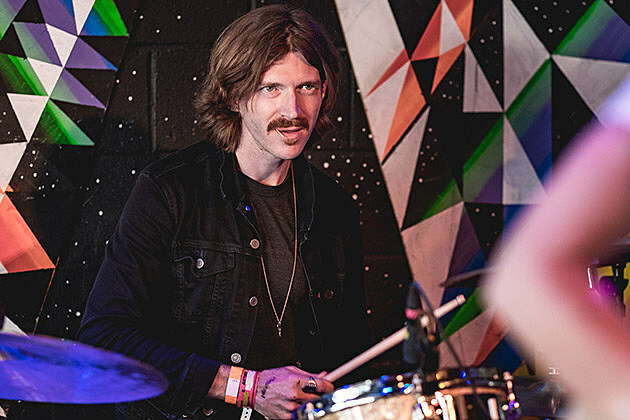 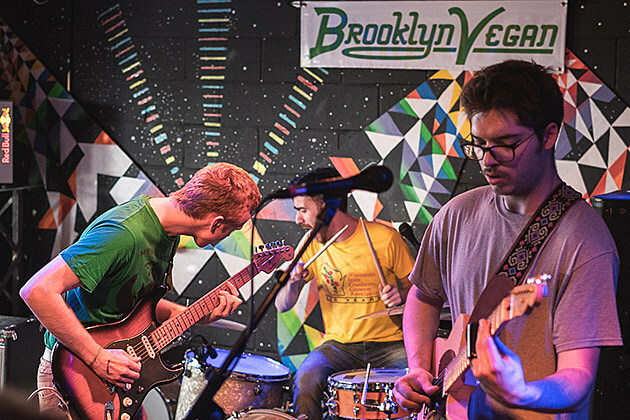 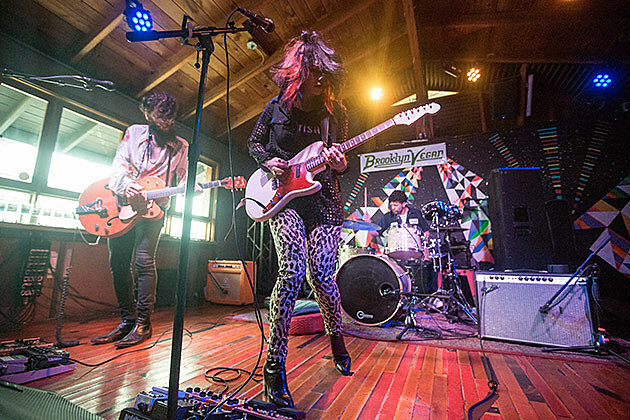 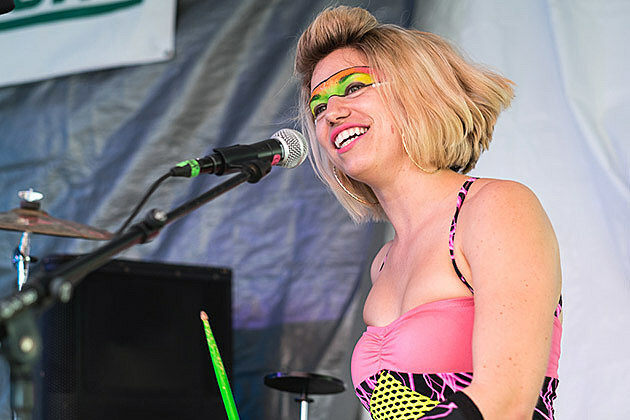 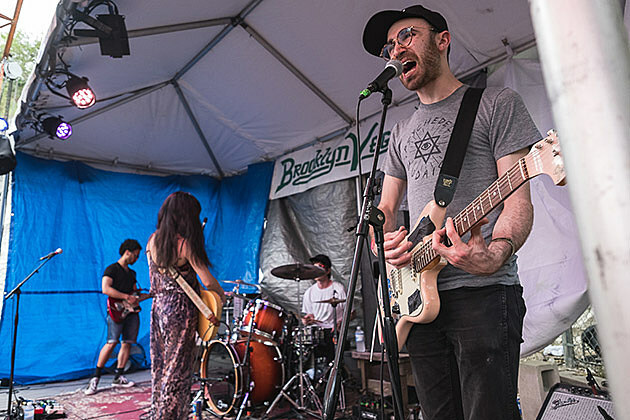 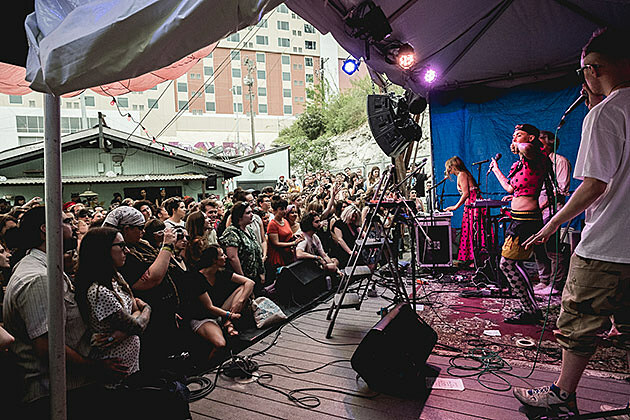 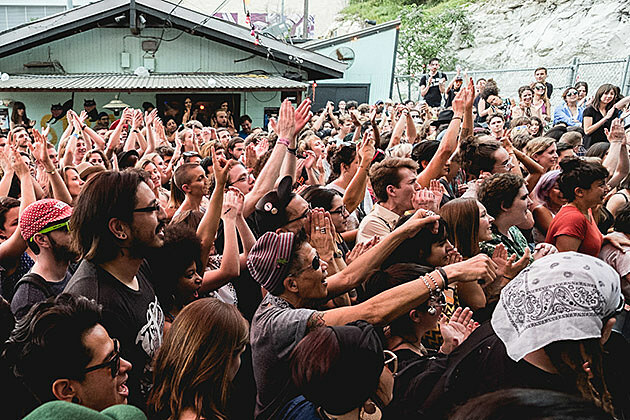 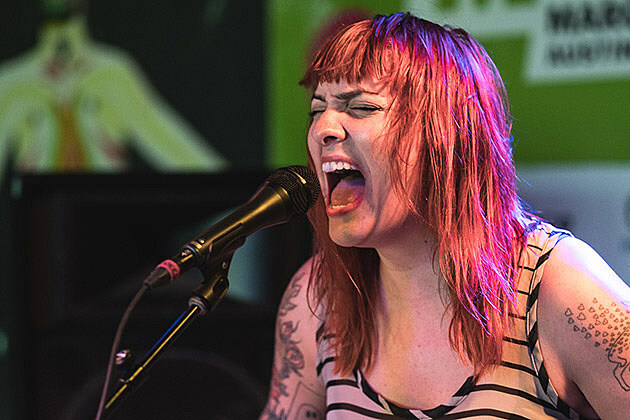 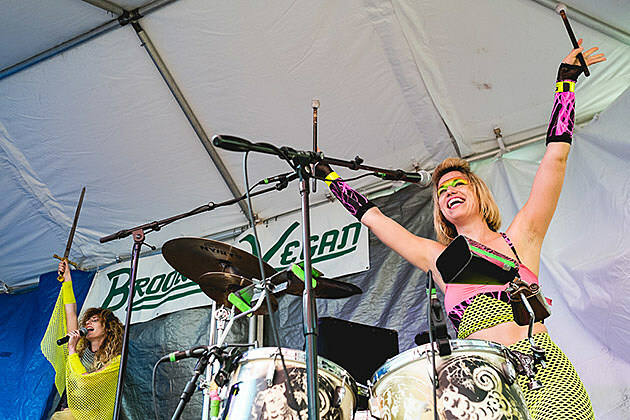 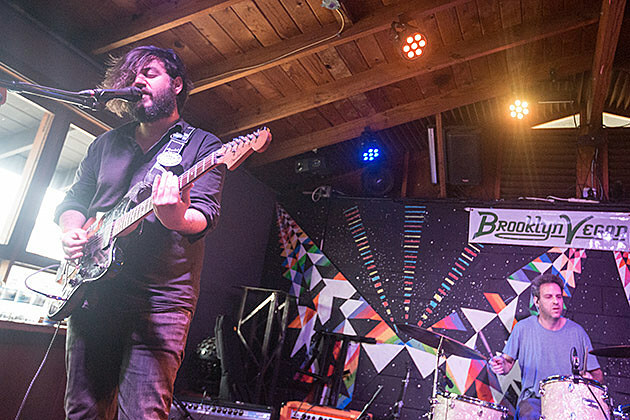 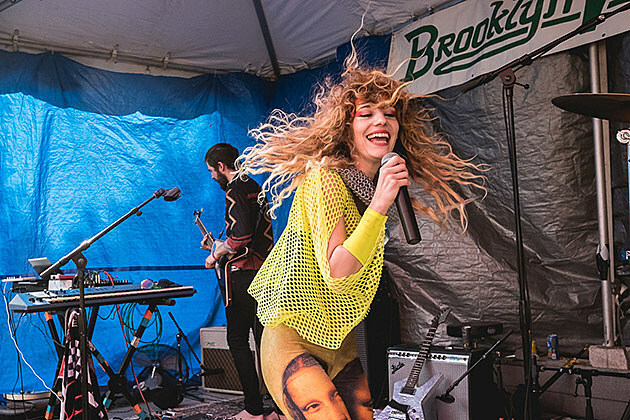 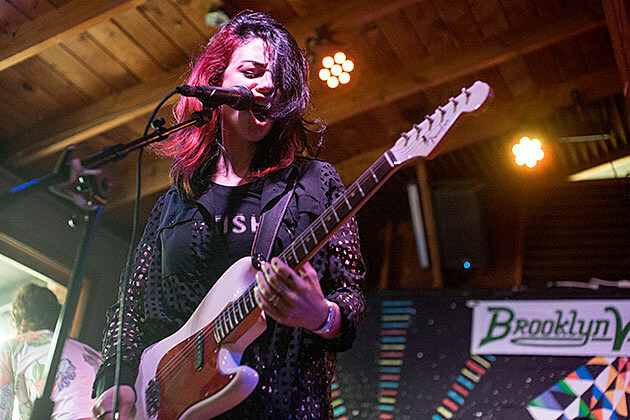 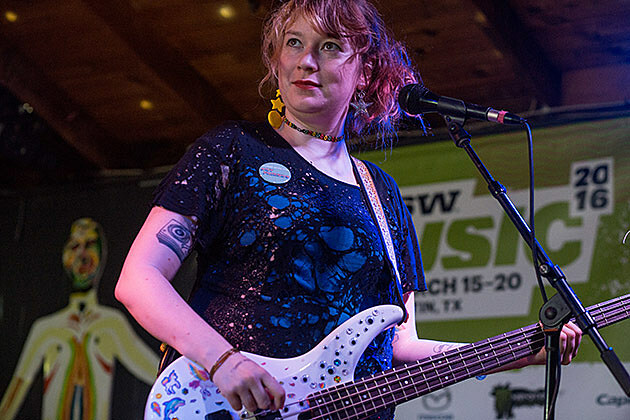 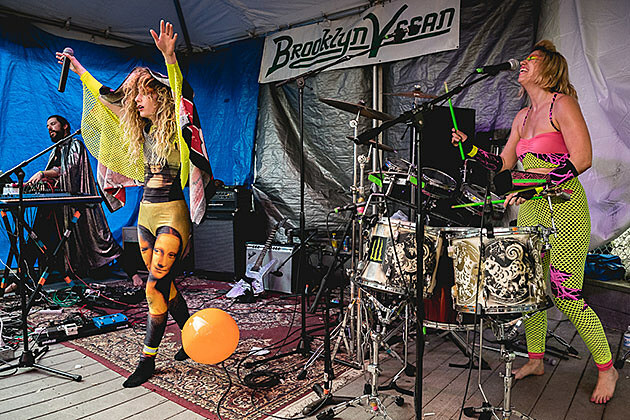 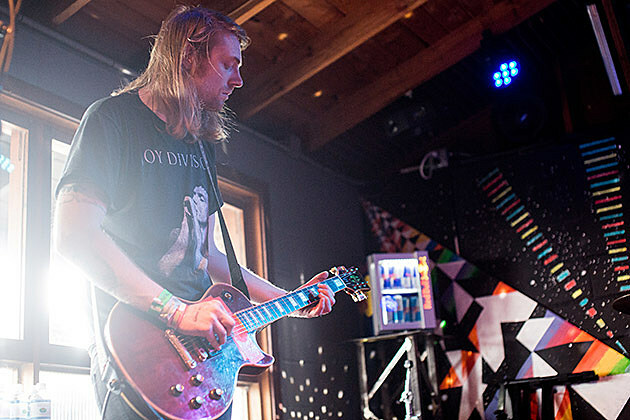 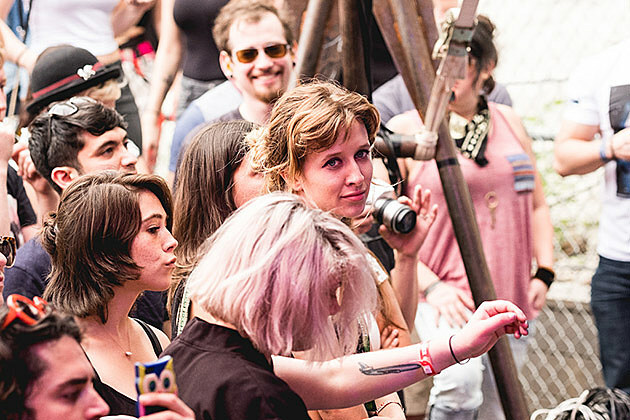 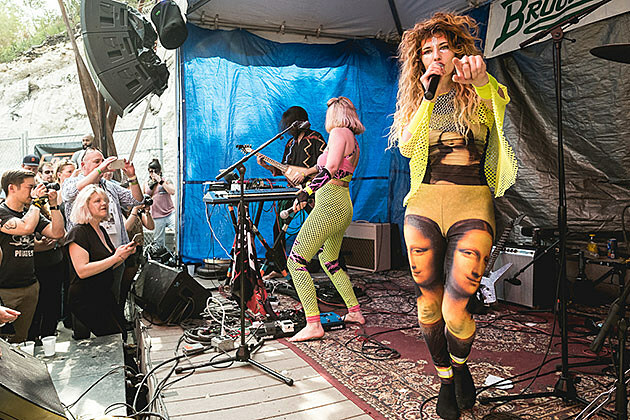 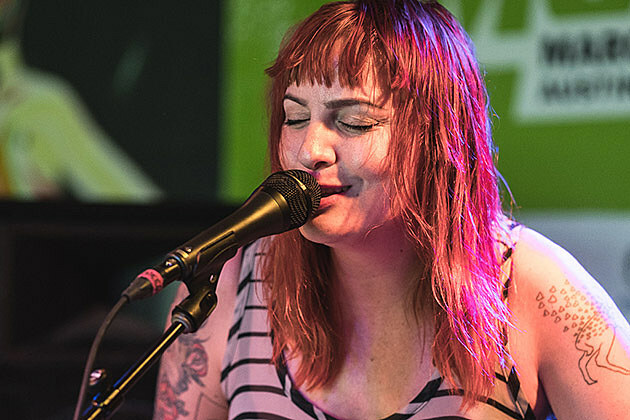 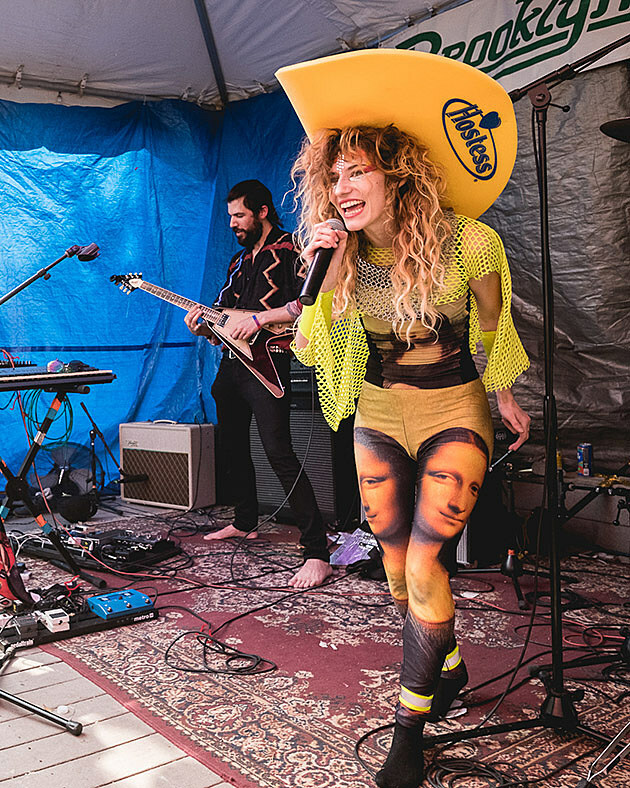 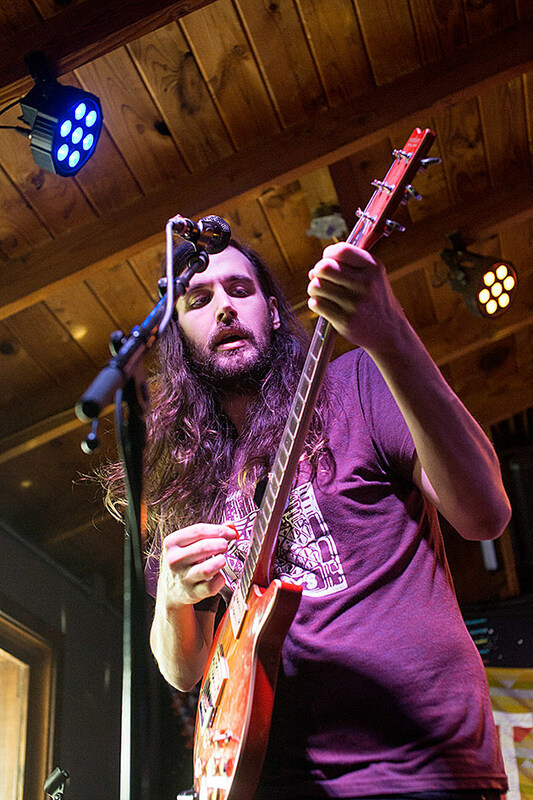 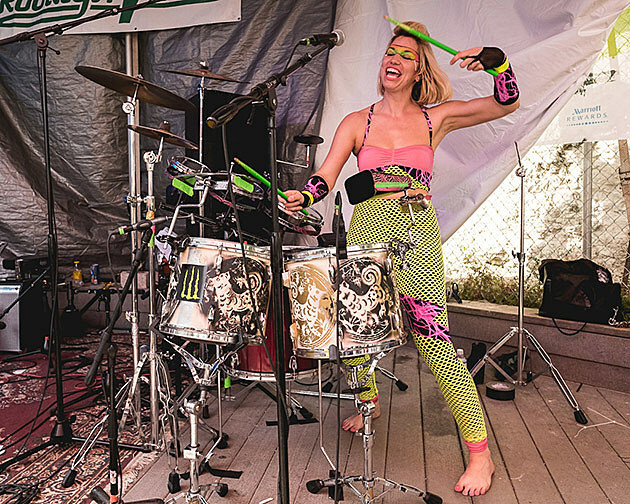 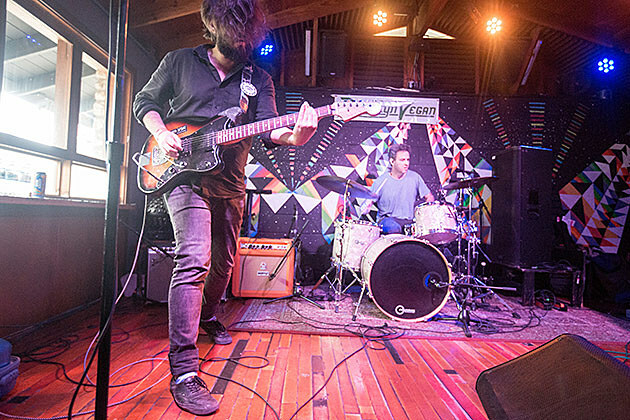 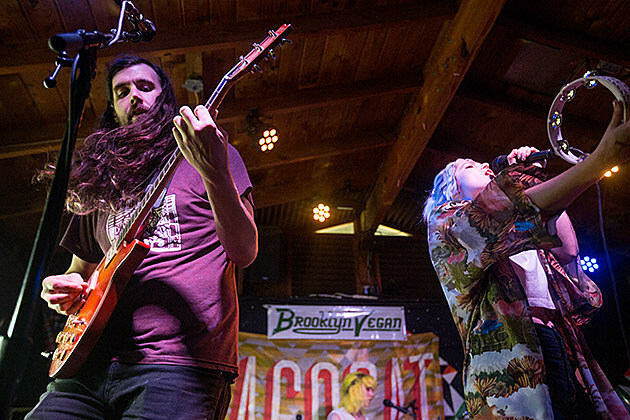 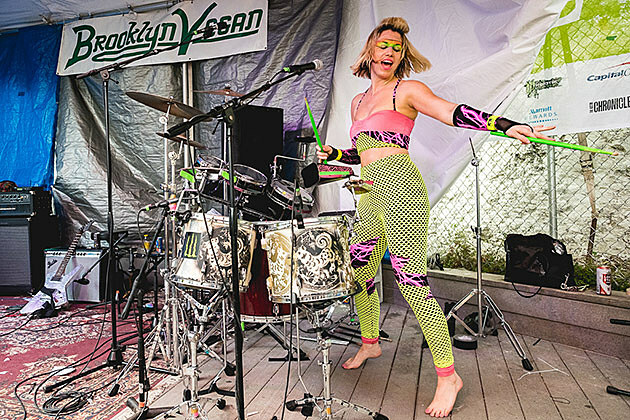 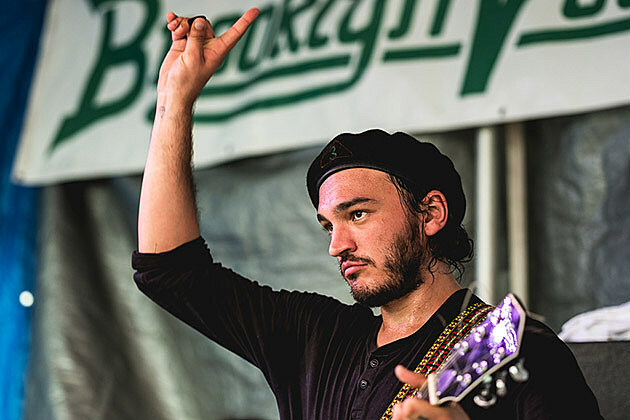 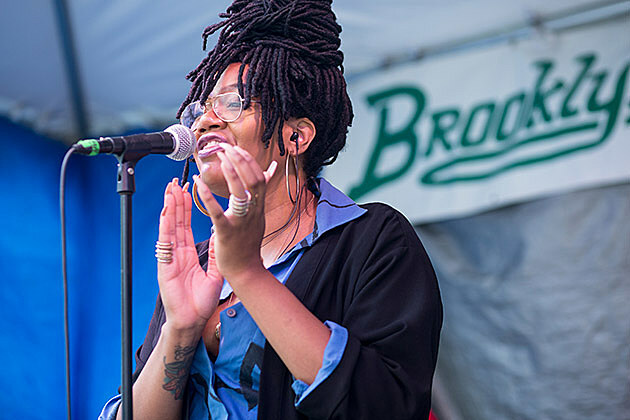 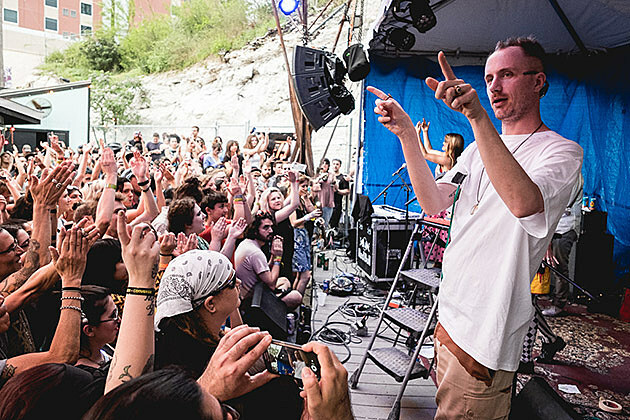 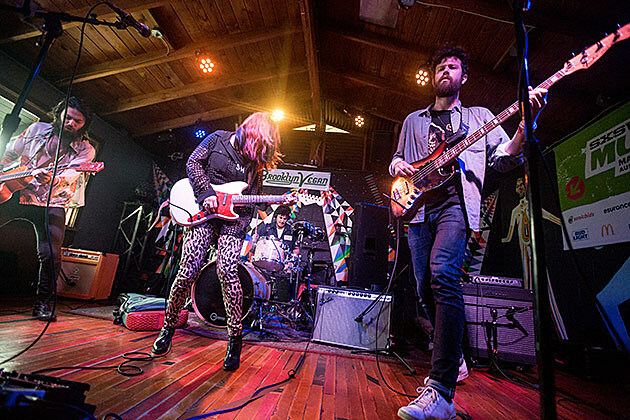 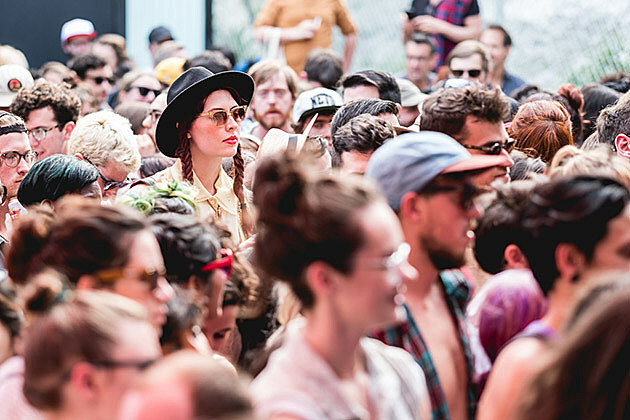 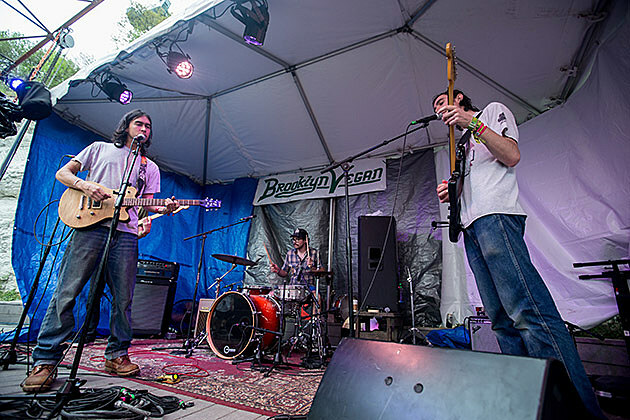 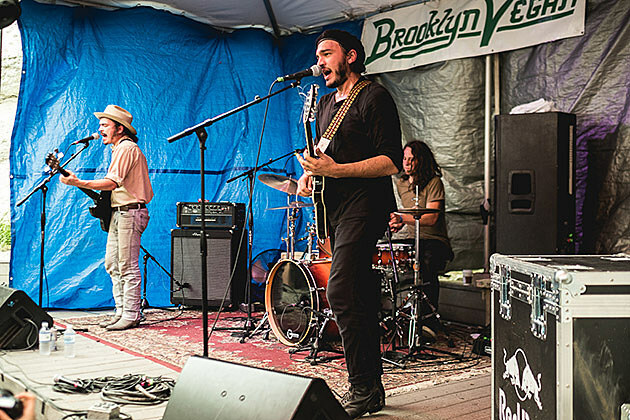 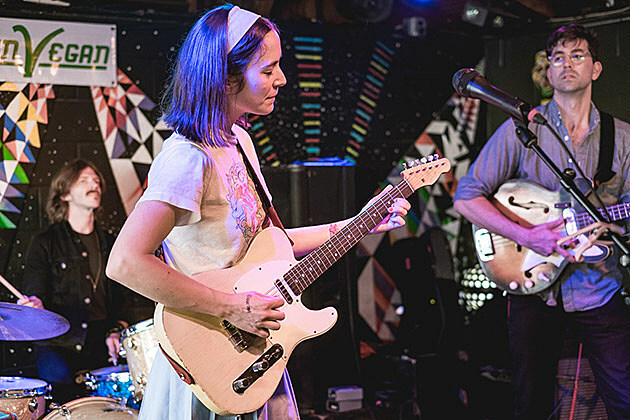 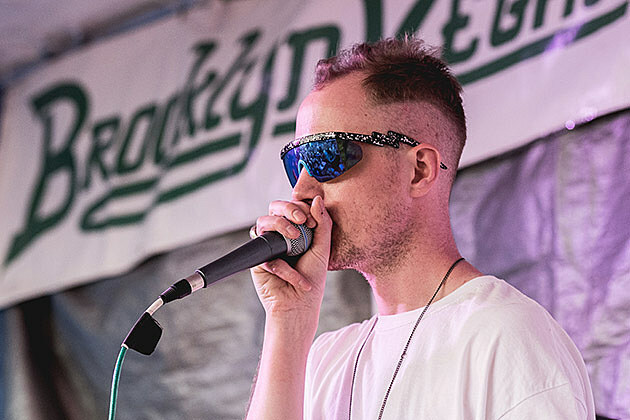 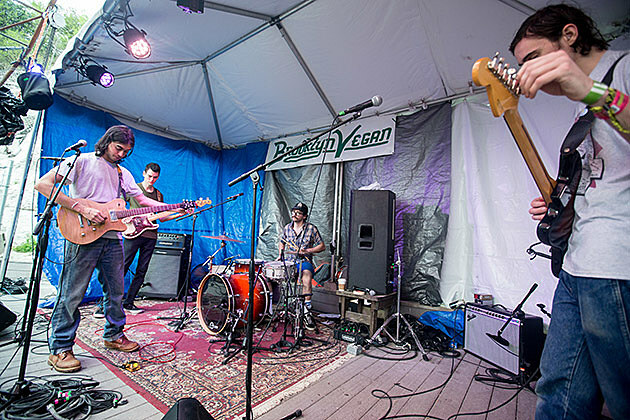 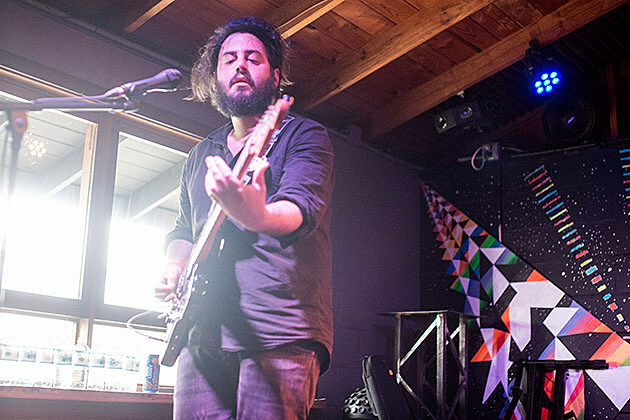 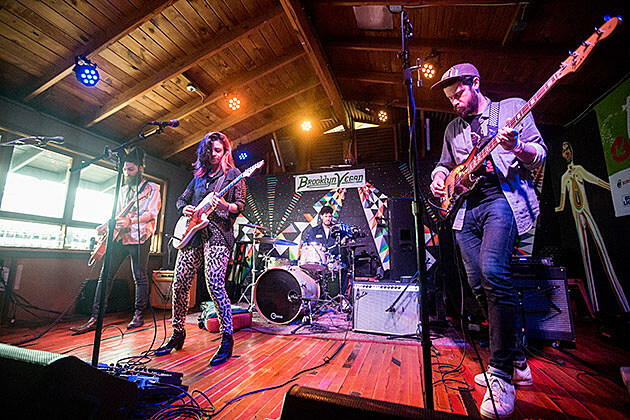 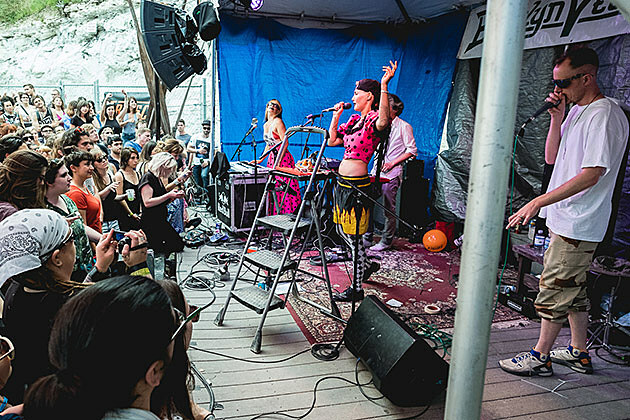 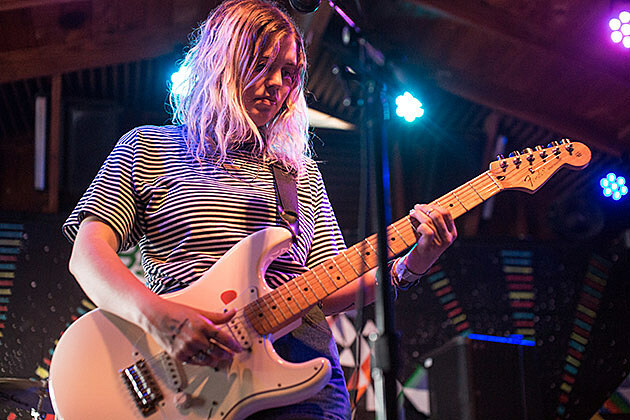 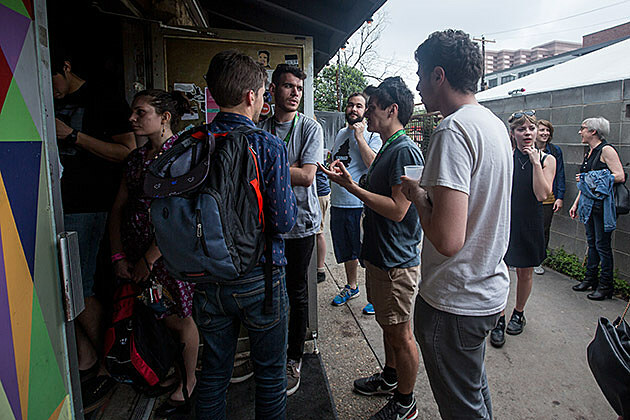 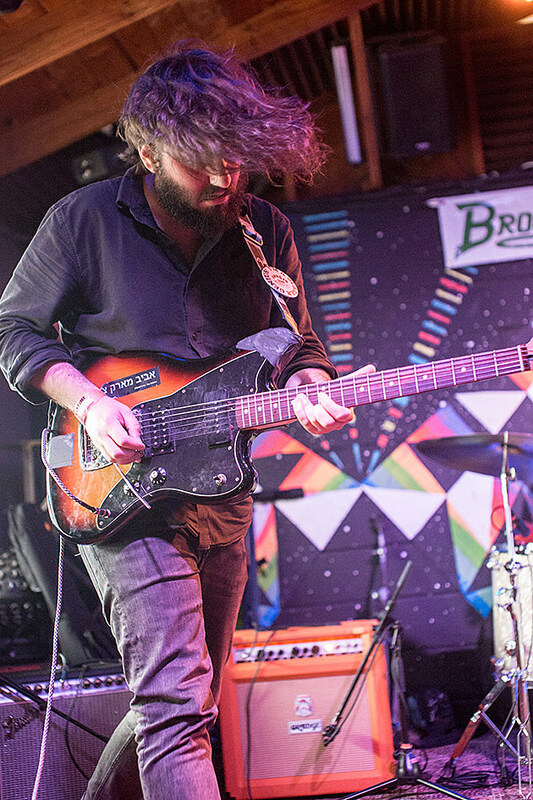 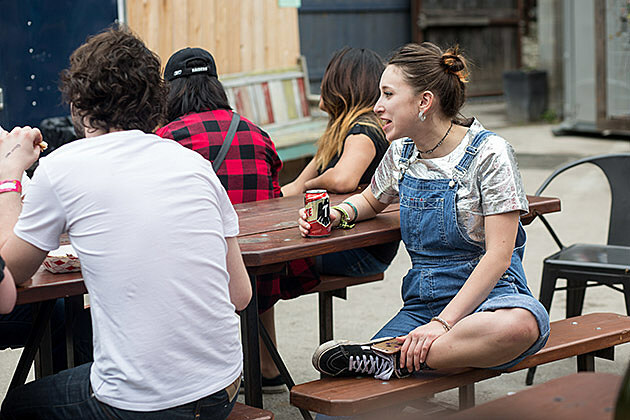 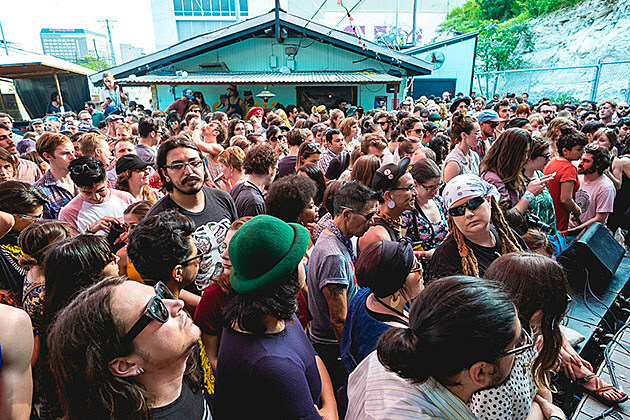 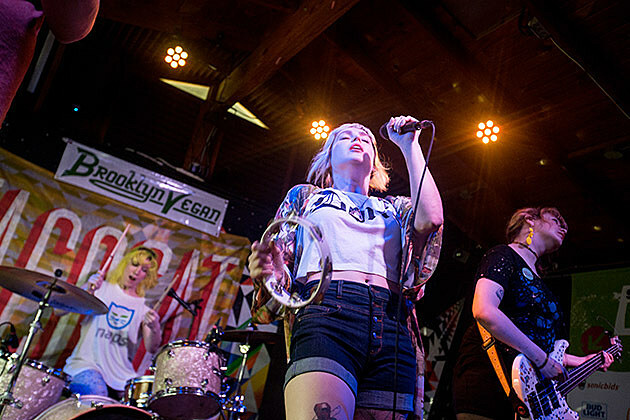 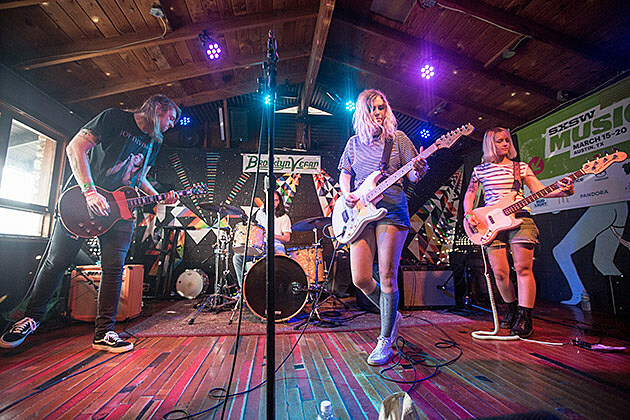 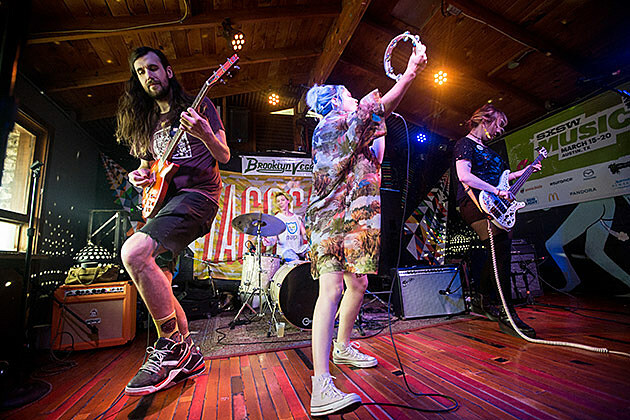 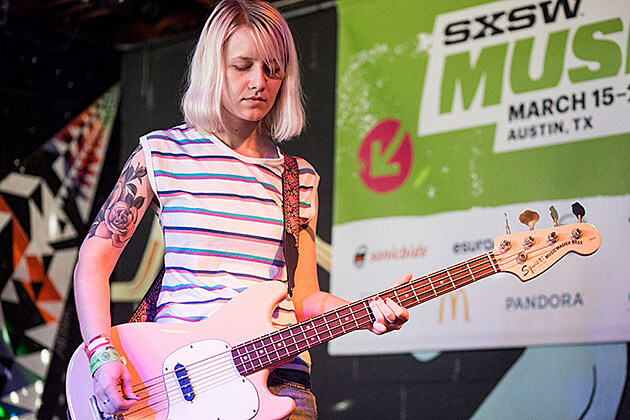 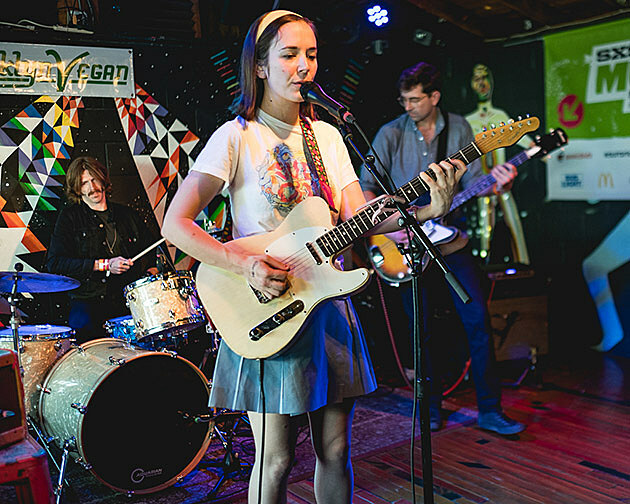 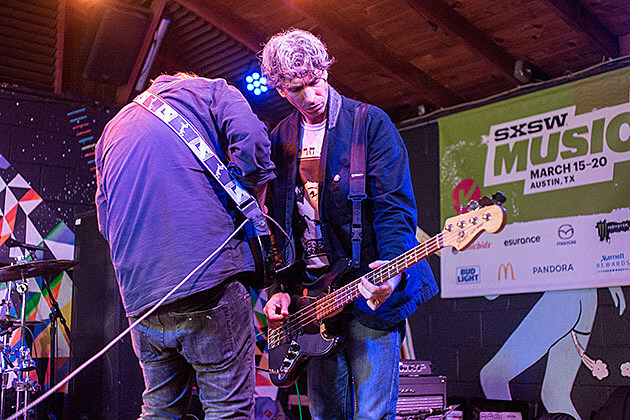 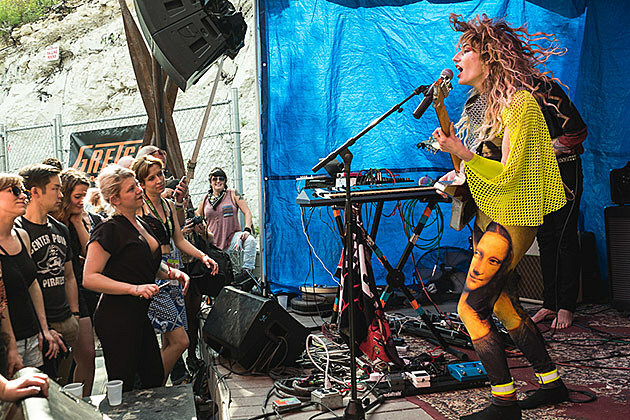 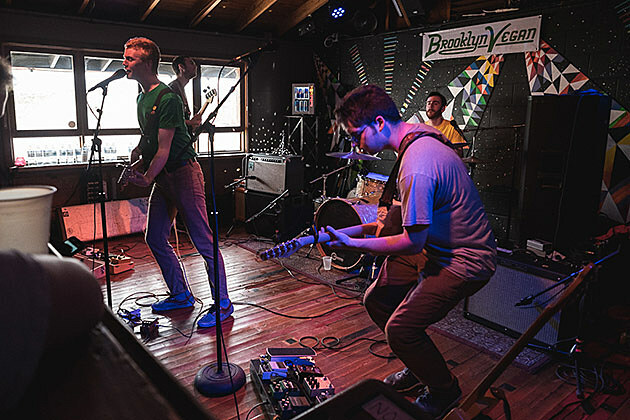 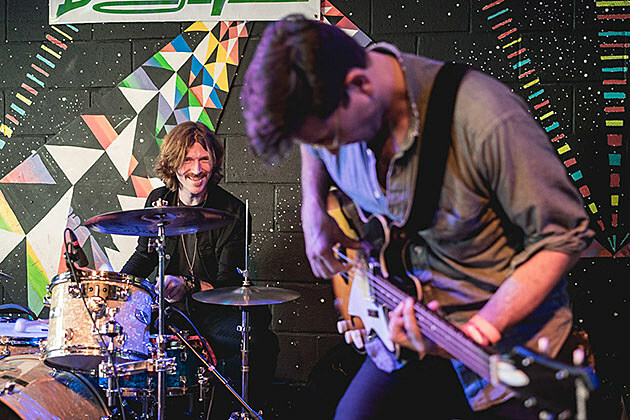 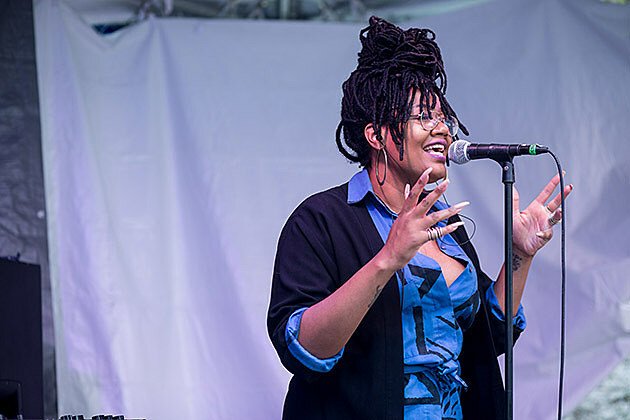 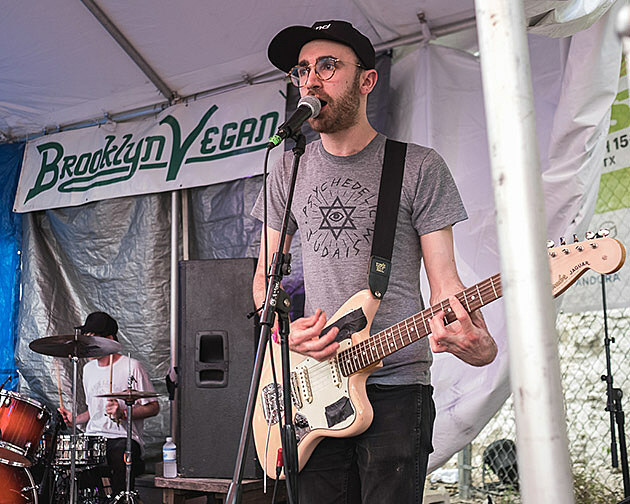 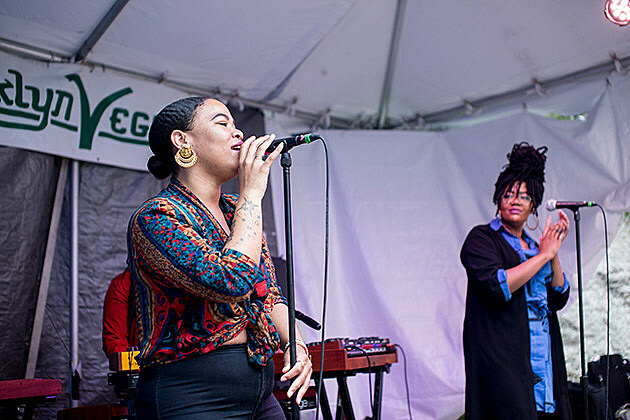 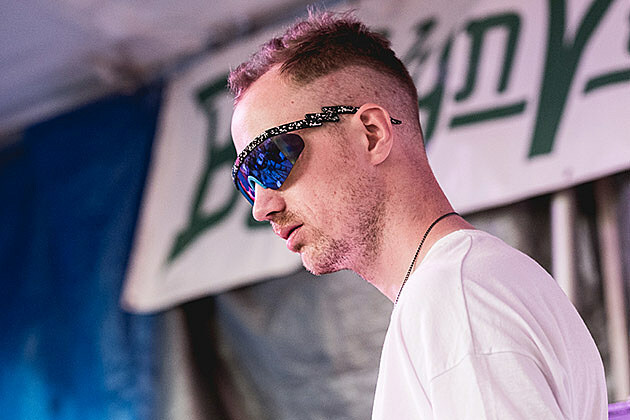 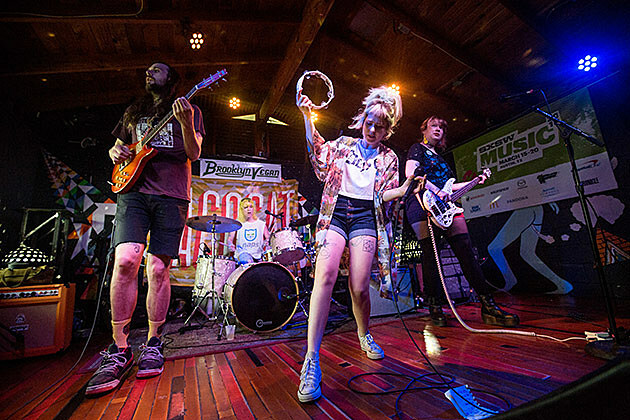 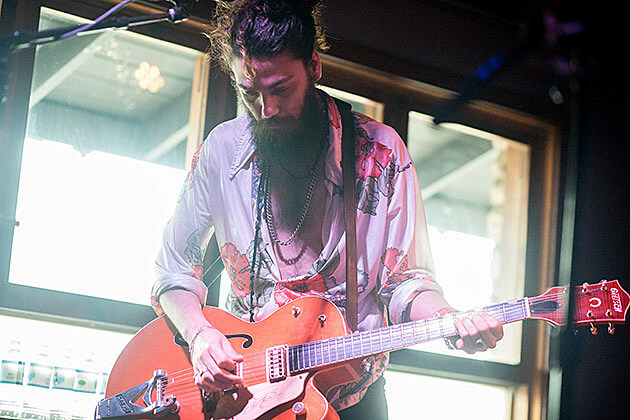 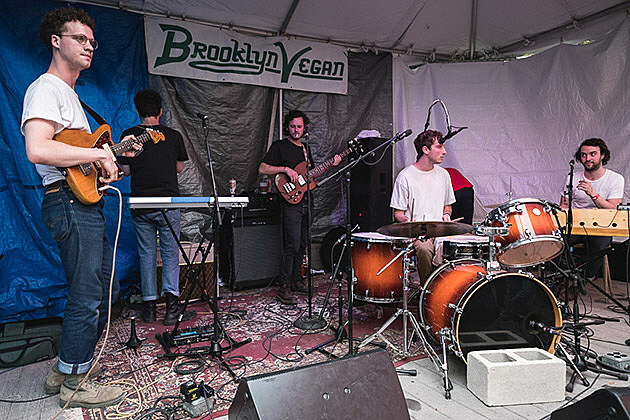 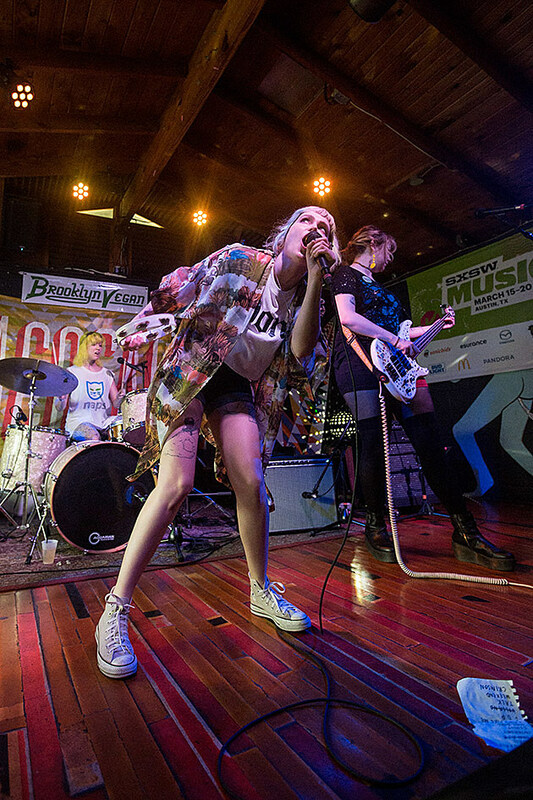 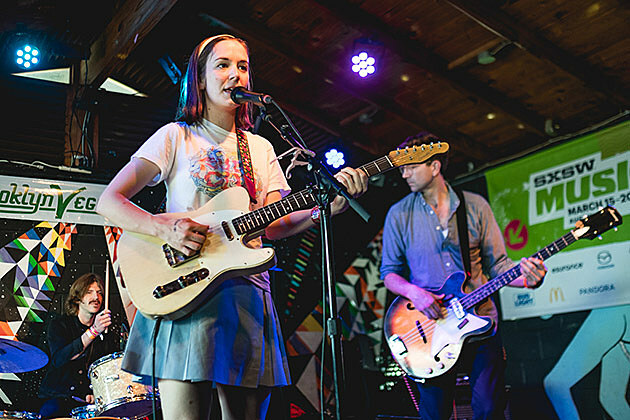 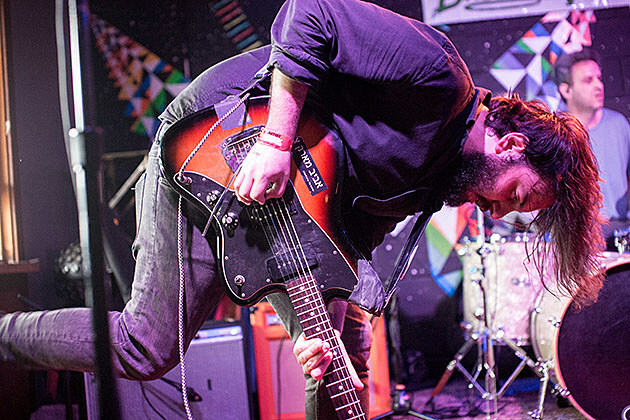 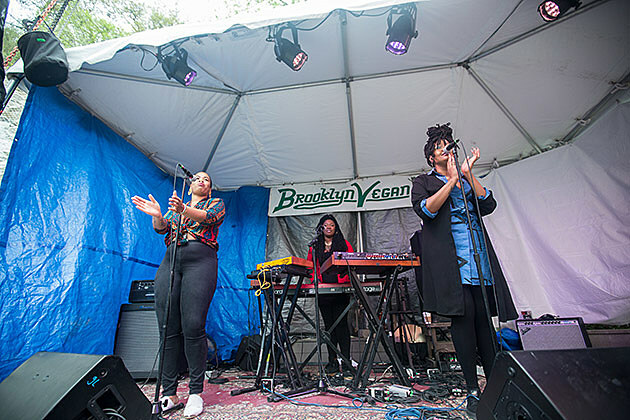 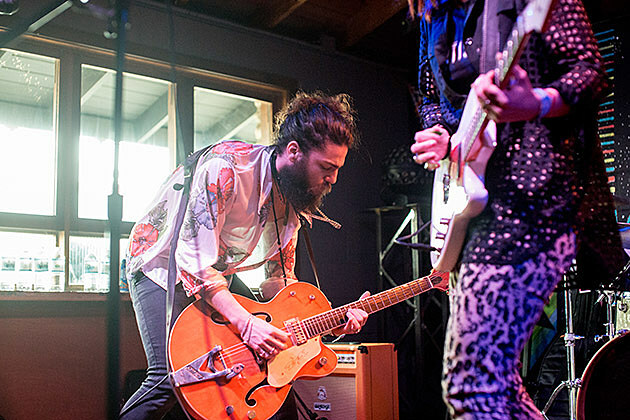 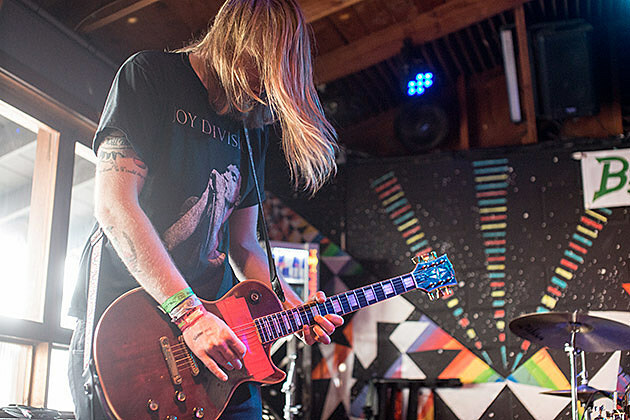 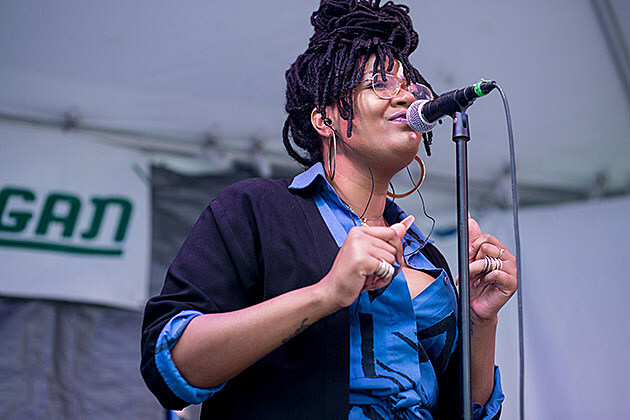 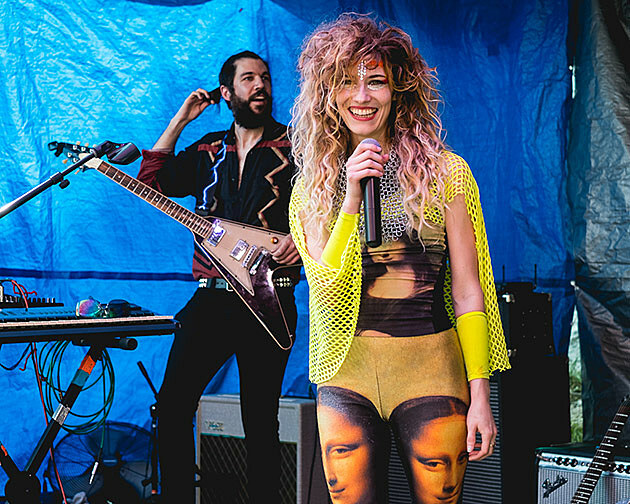 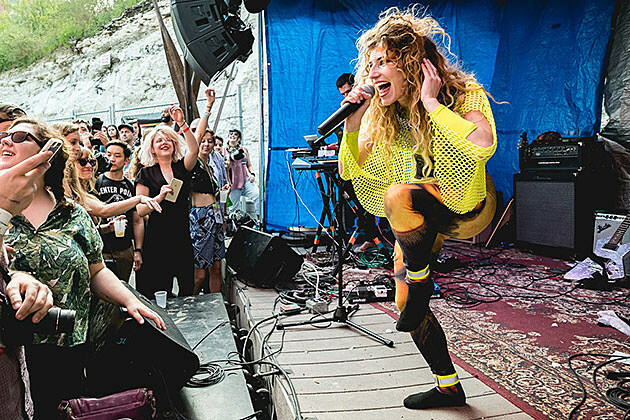 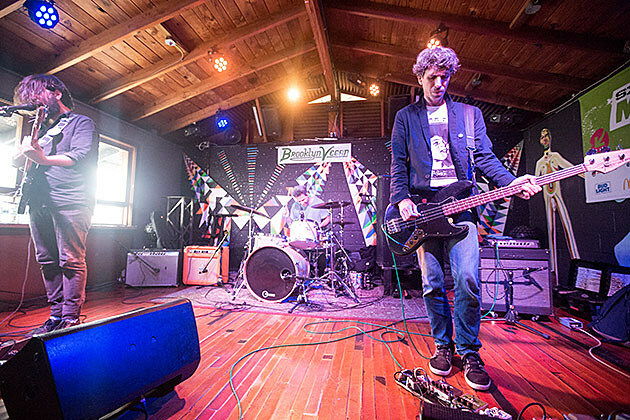 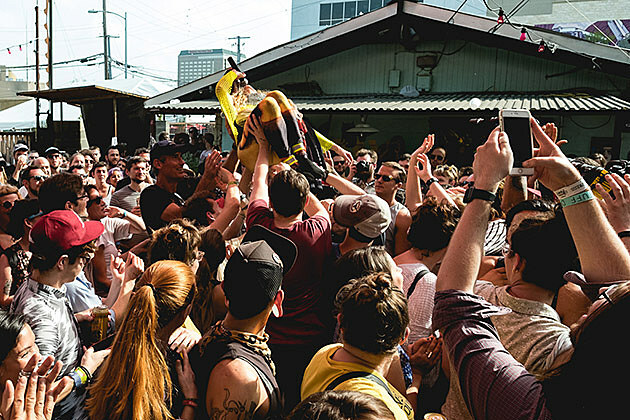 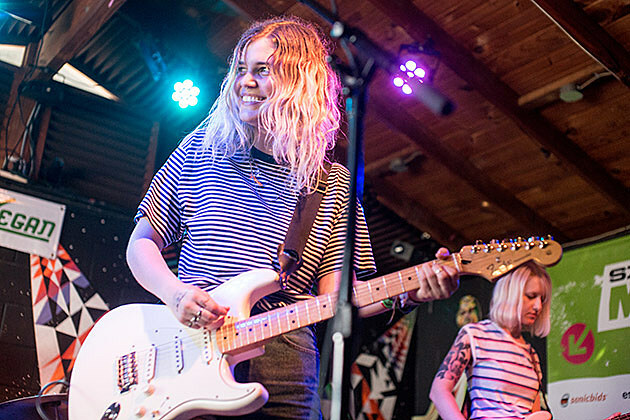 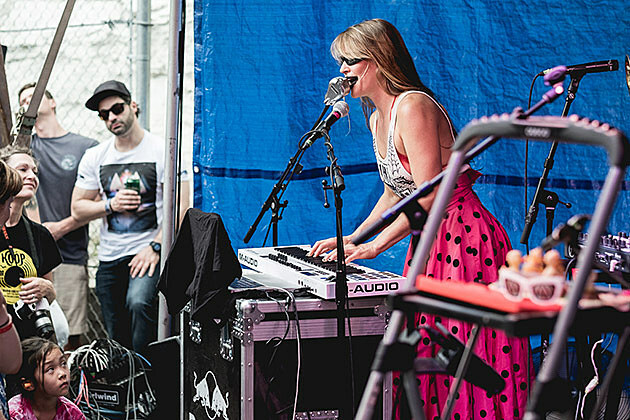 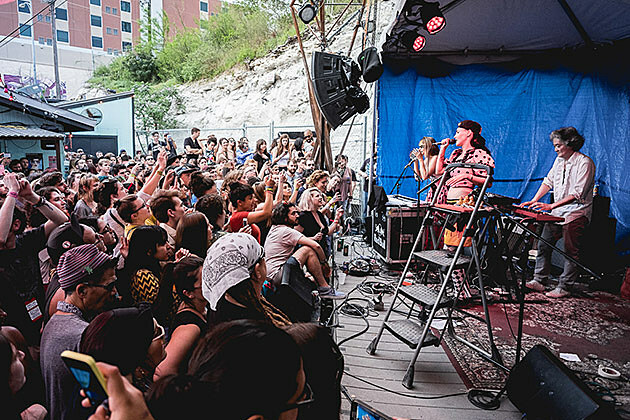 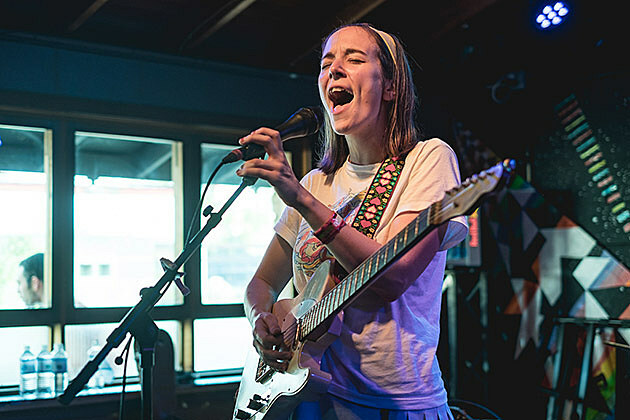 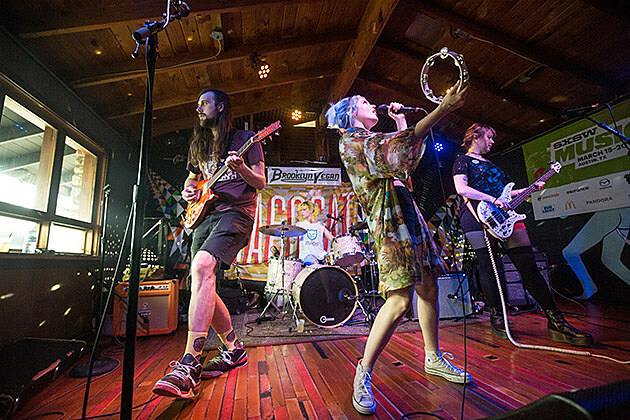 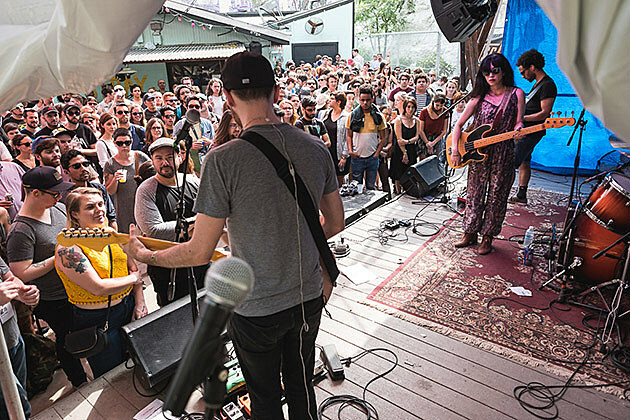 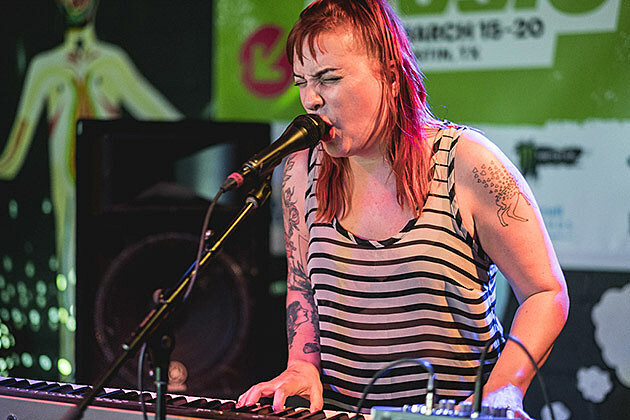 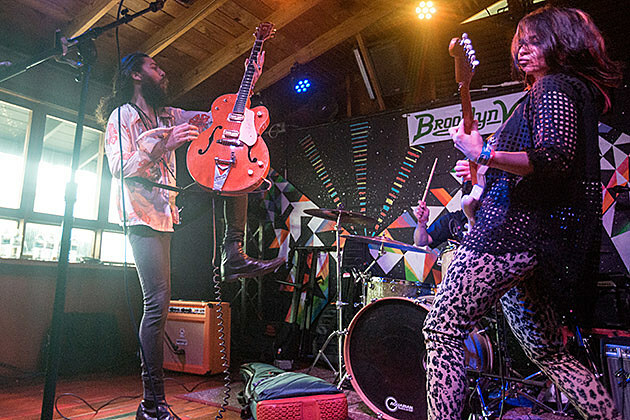 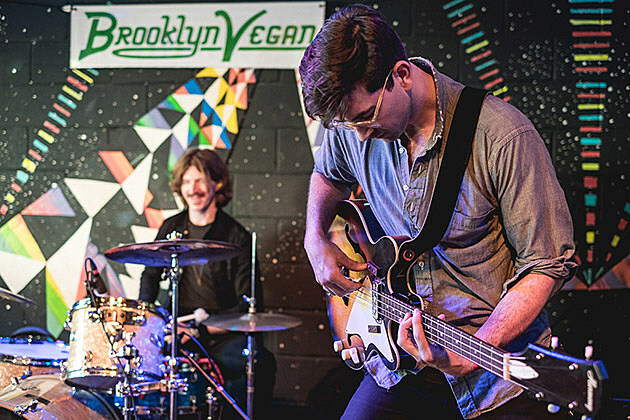 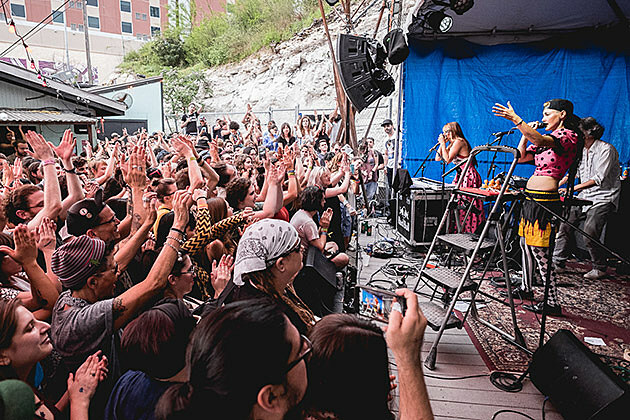 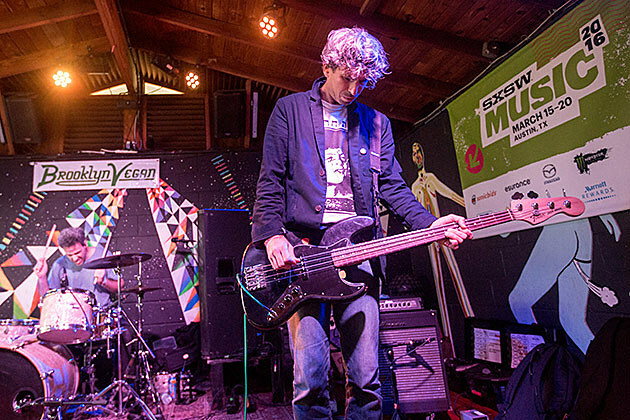 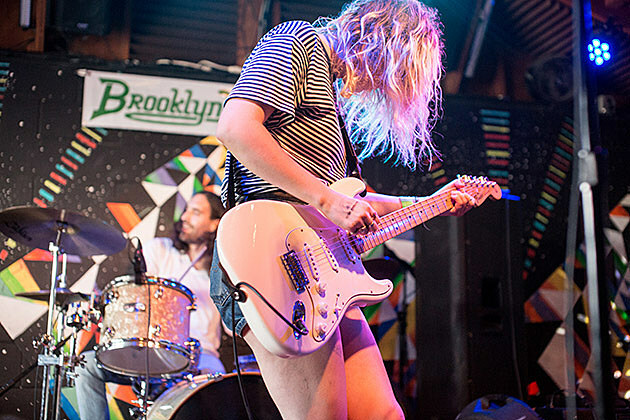 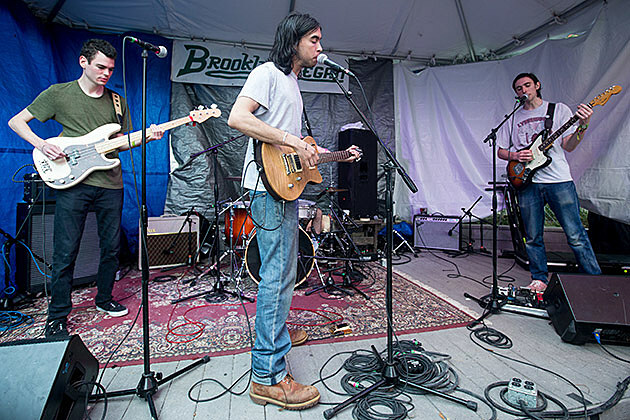 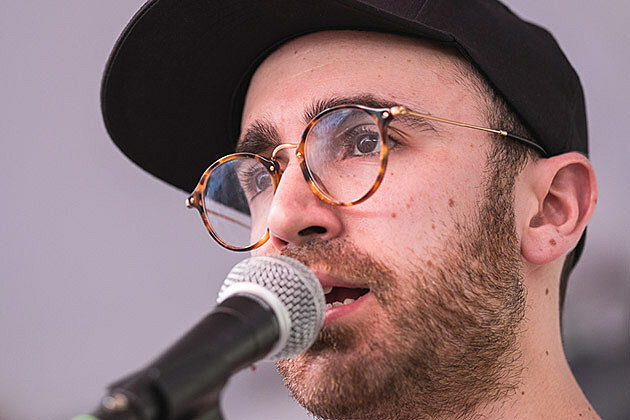 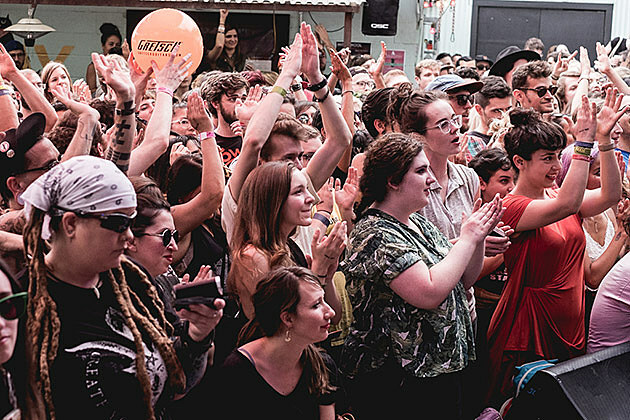 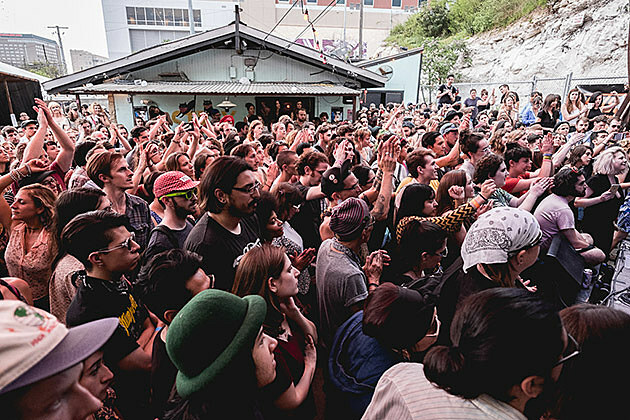 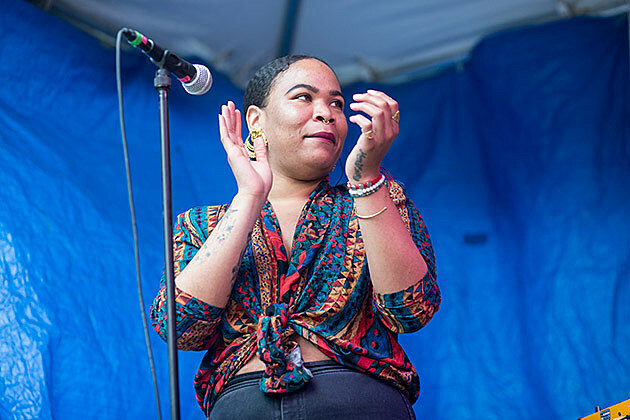 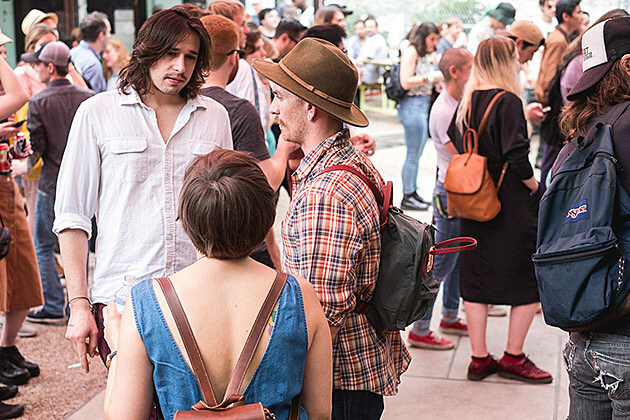 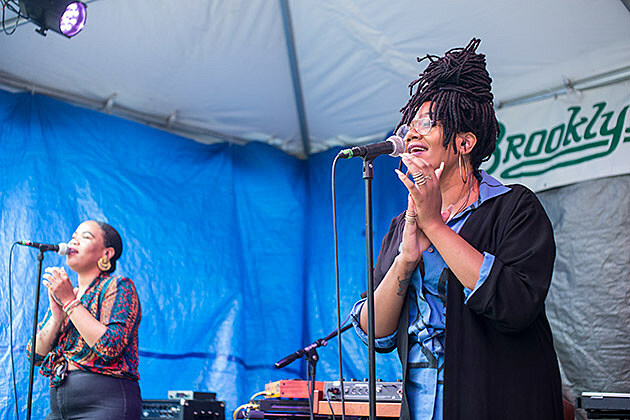 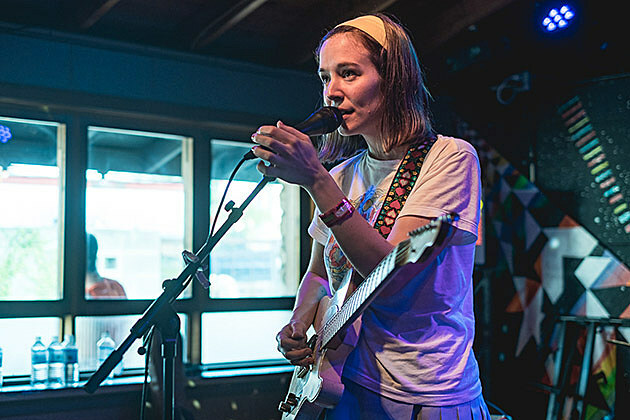 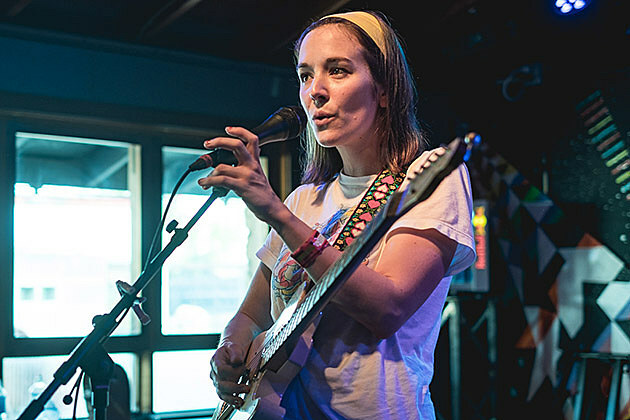 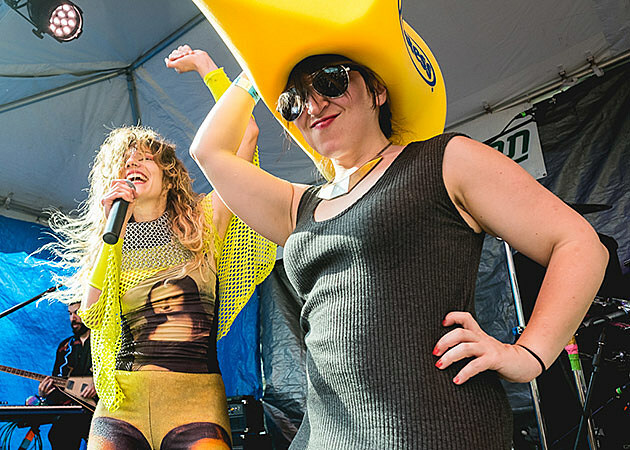 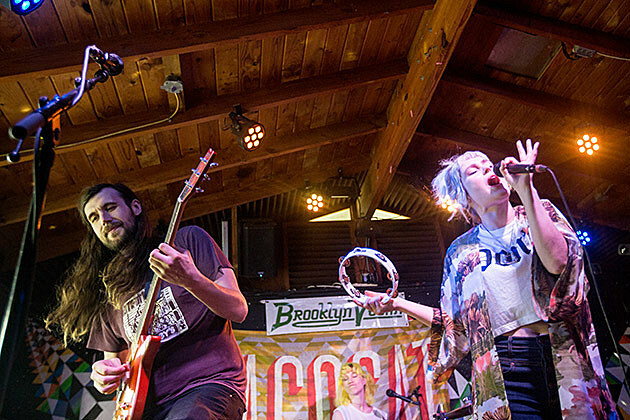 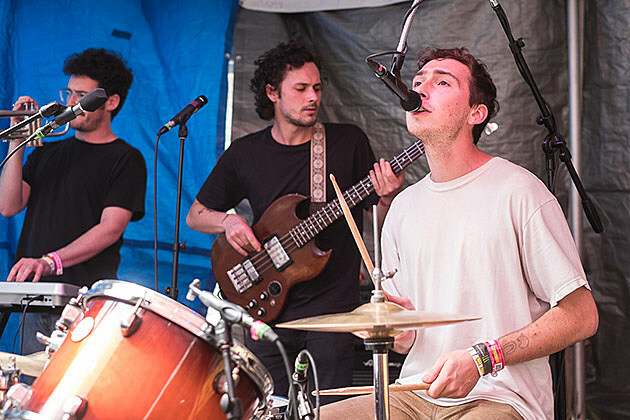 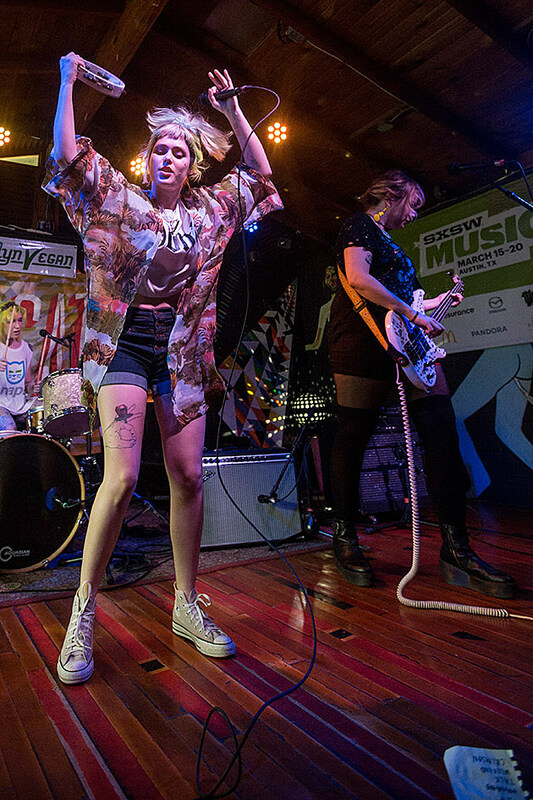 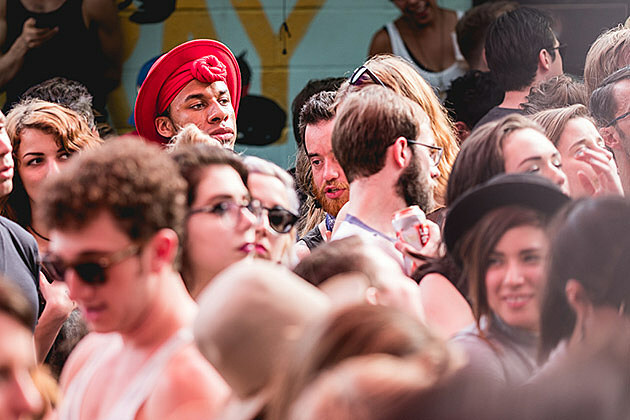 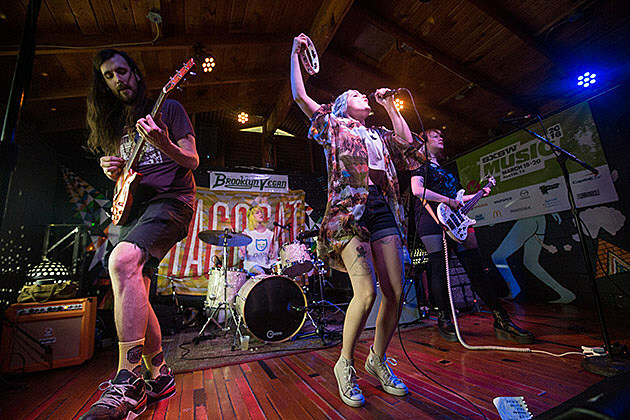 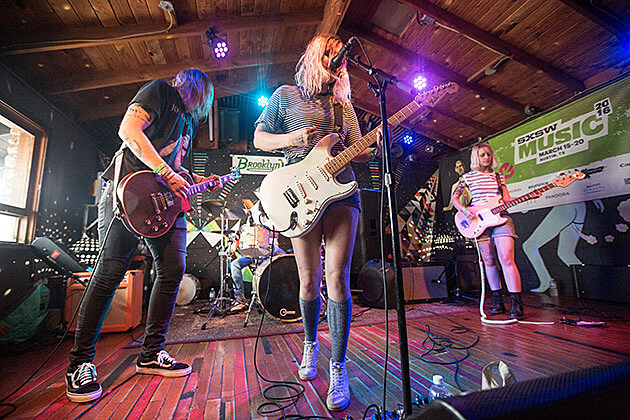 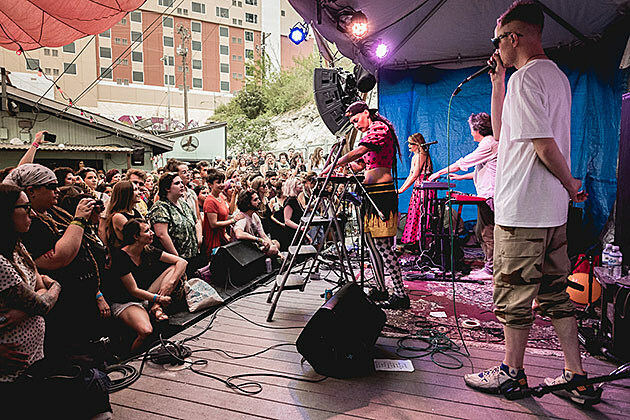 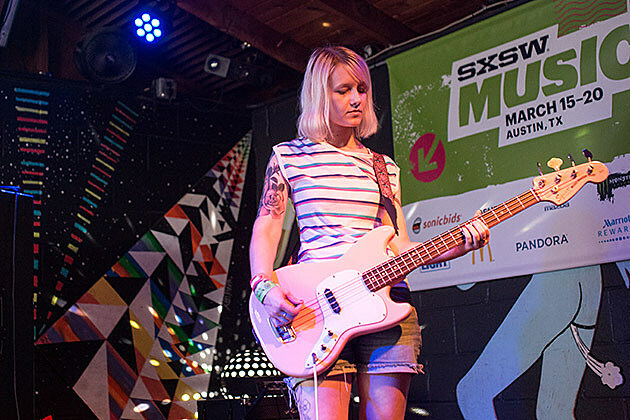 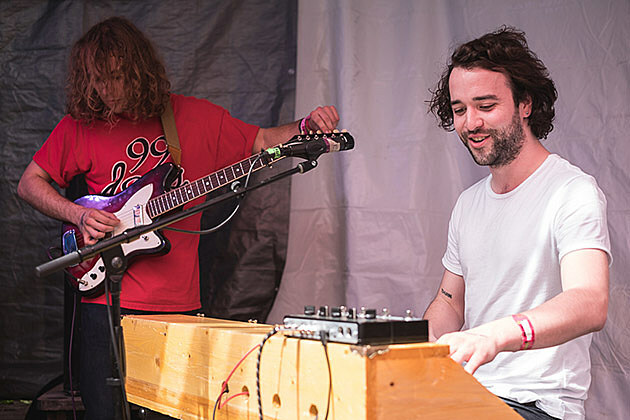 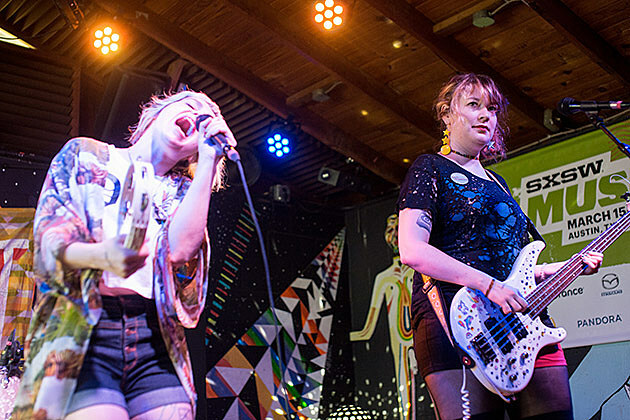 After kicking off on Thursday (pictures), the free BrooklynVegan SXSW day parties at Cheer Up Charlies in Austin continued on Friday (3/18). 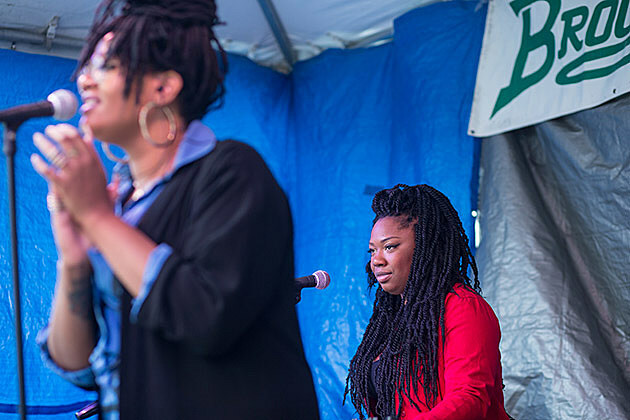 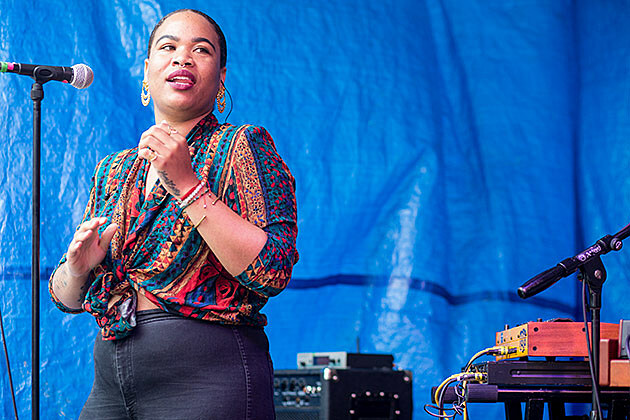 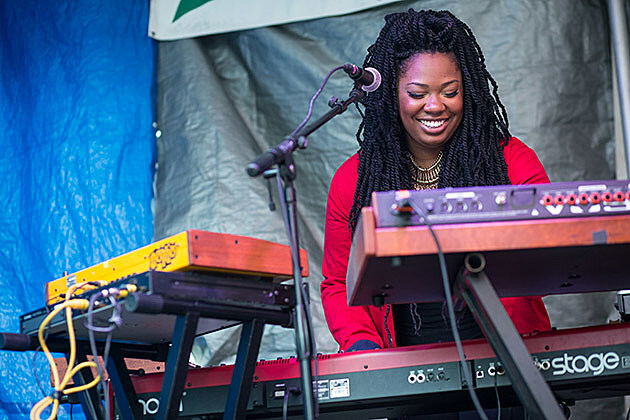 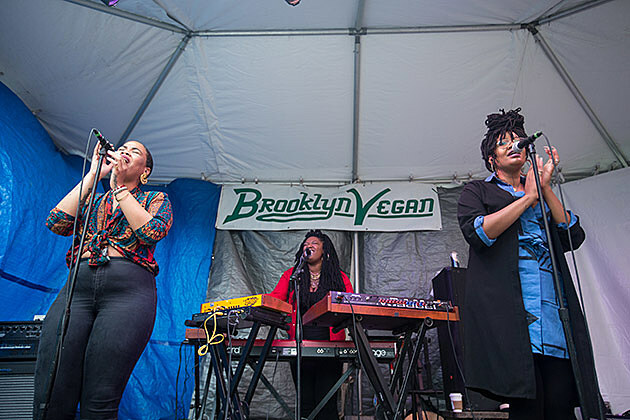 Outside, things kicked off with LA R&B trio KING, whose smooth soulful sound was a great start to the warm day. 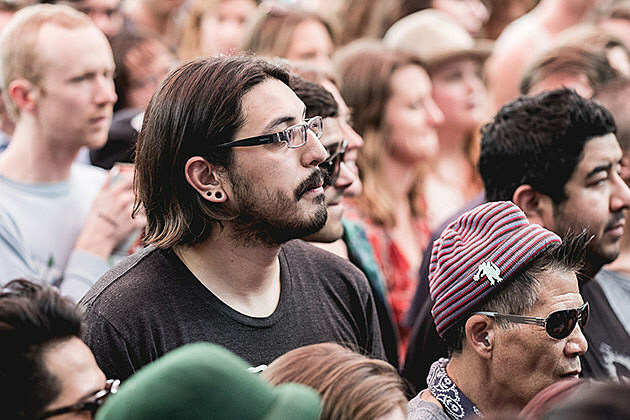 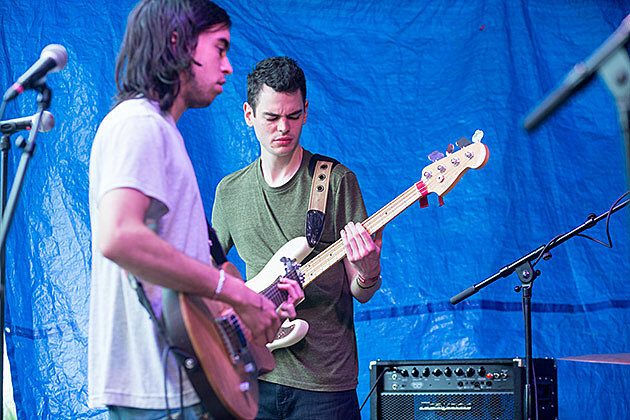 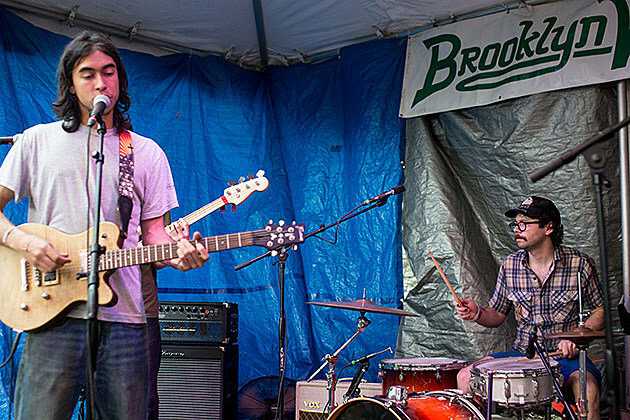 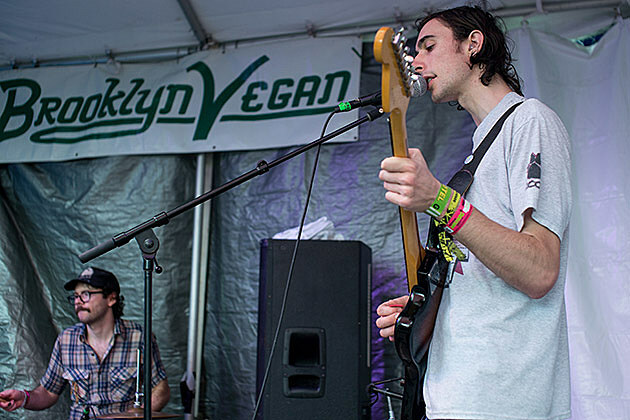 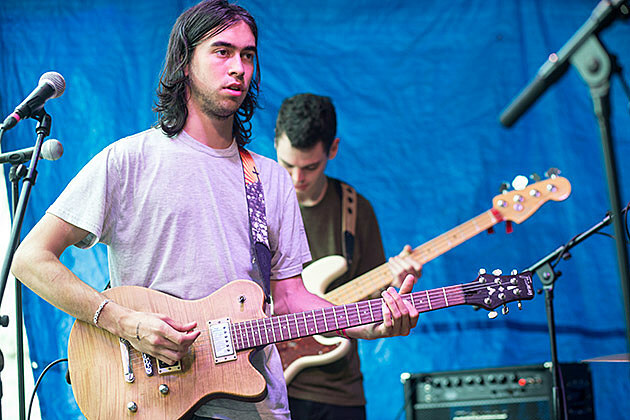 Then Alex G brought his chill indie rock vibes and quirky stage presence to the same stage. 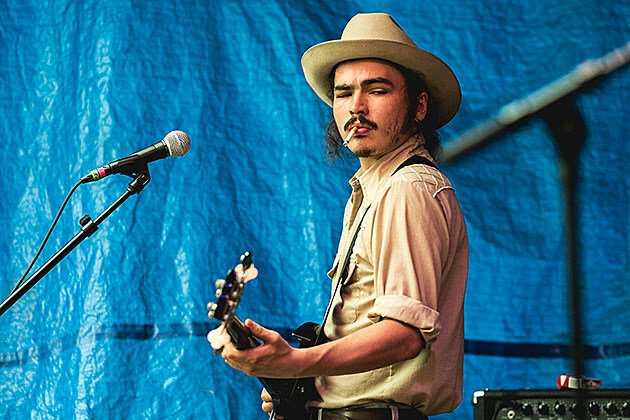 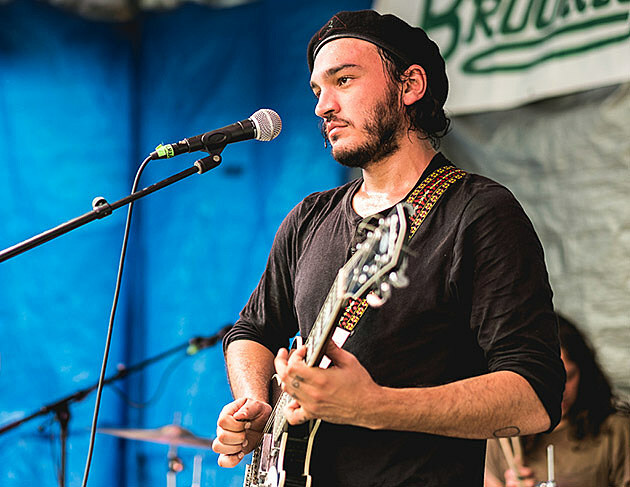 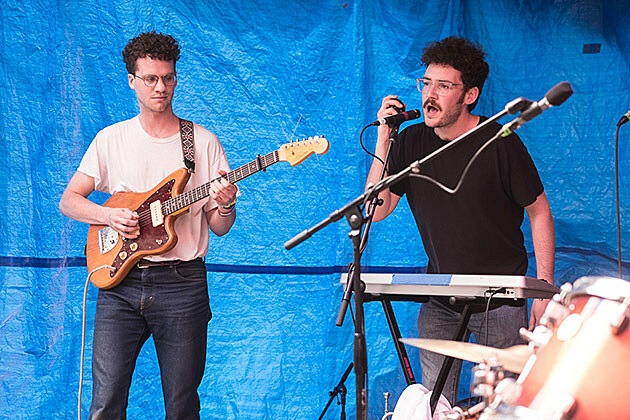 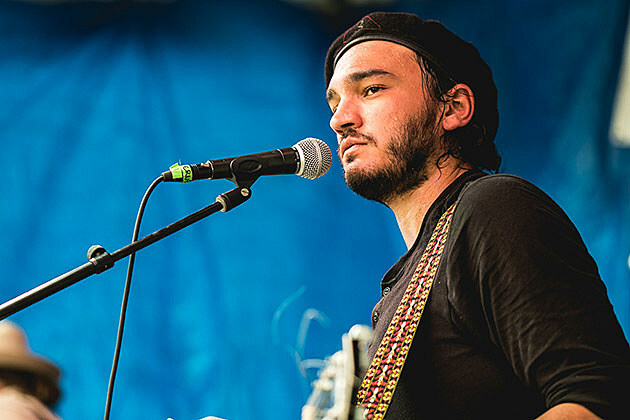 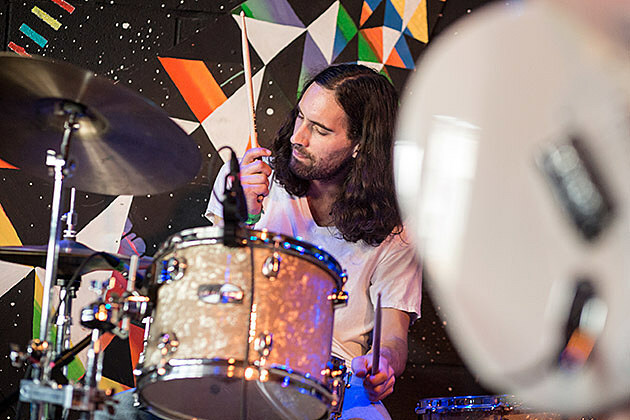 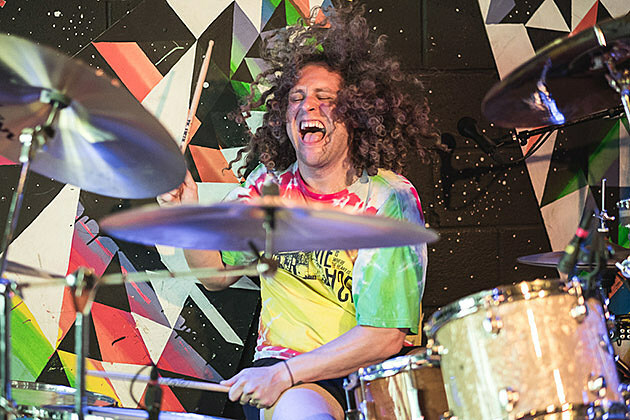 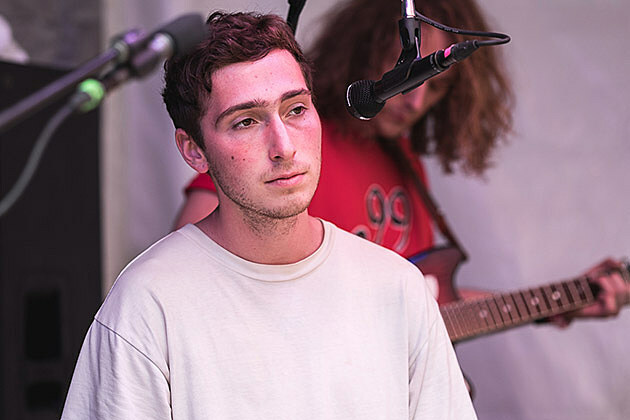 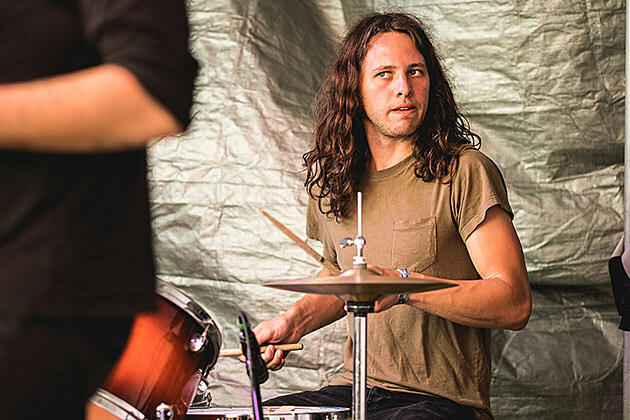 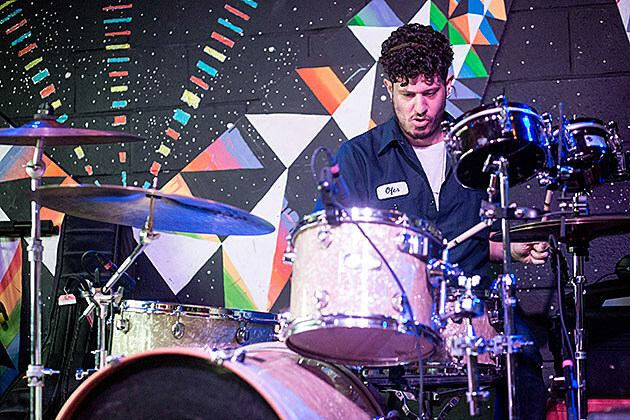 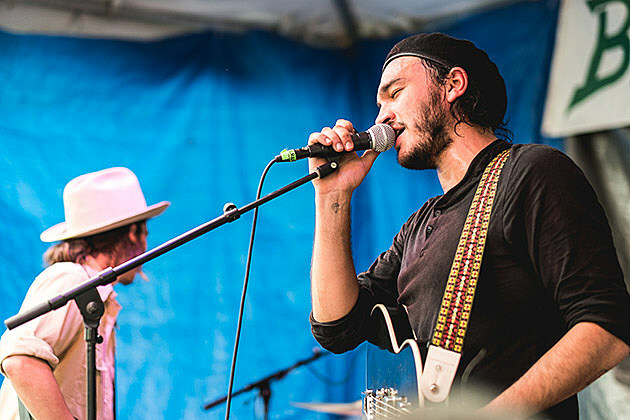 It got a little more psychedelic when Seattle’s Night Beats came on, and the kinda-classic rock vibes continued with Whitney, the new band with former members of Smith Westerns. 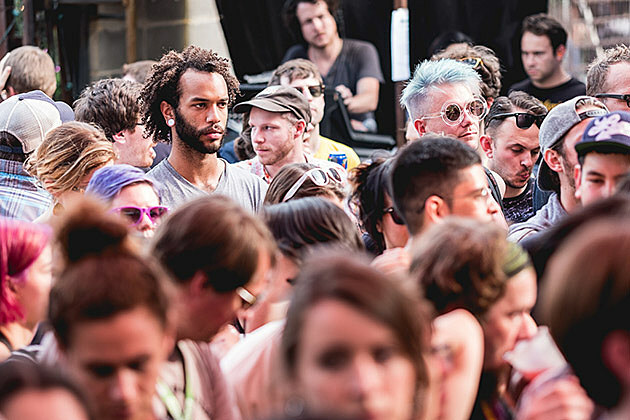 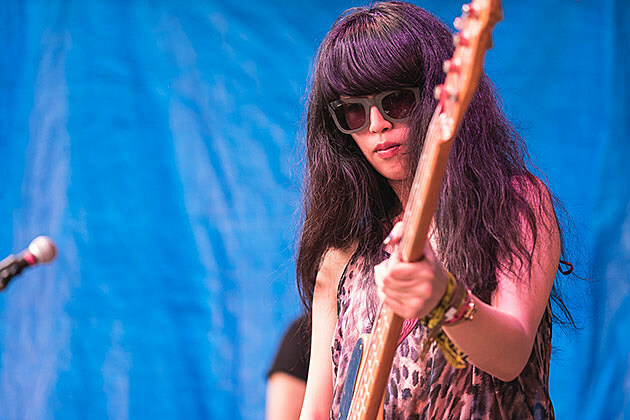 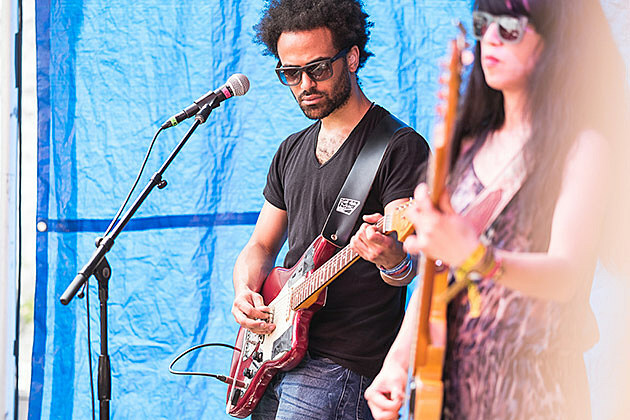 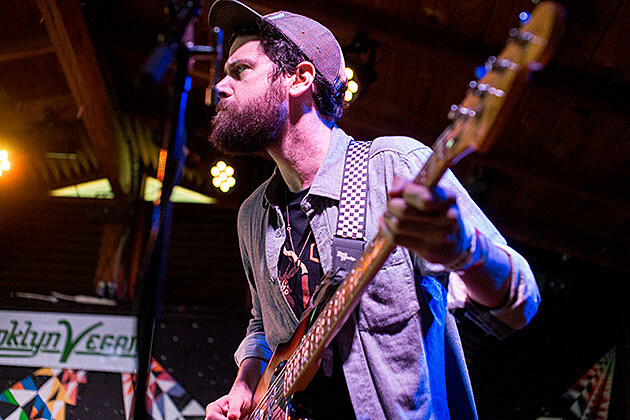 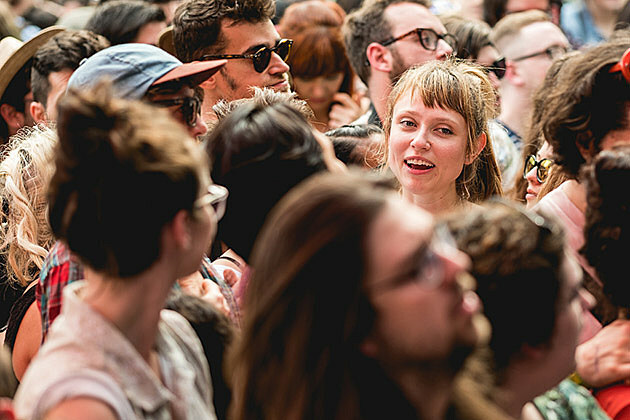 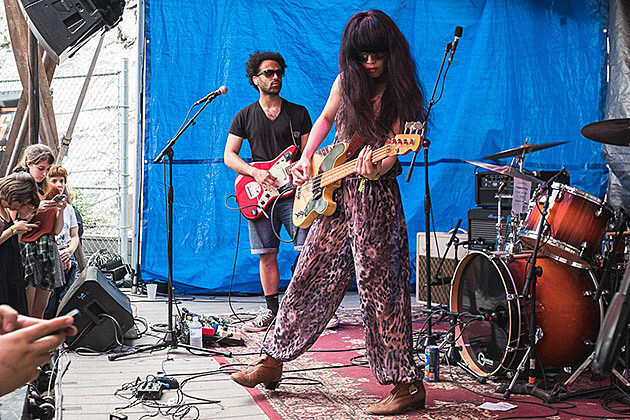 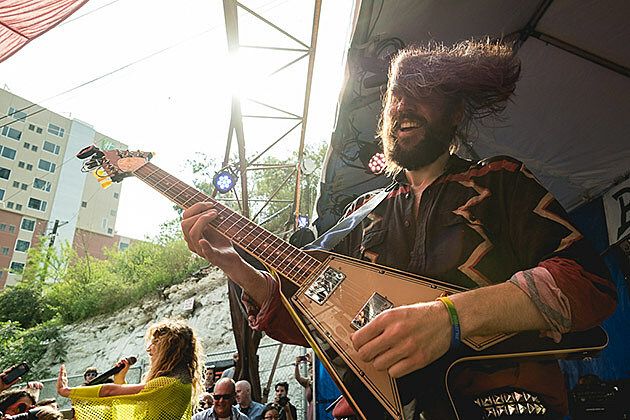 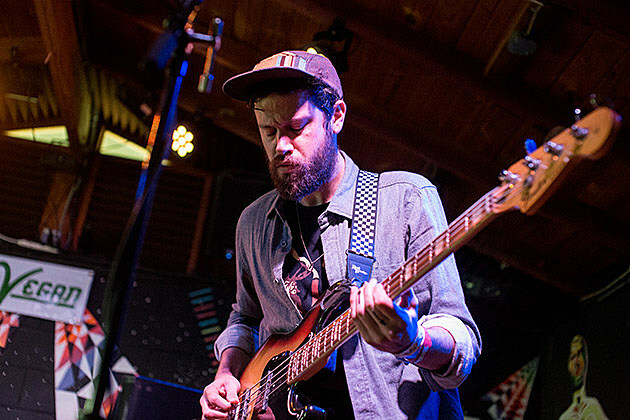 Representing the UK and reviving ’90s indie rock was Yuck, and then after them the day got a lot more colorful. 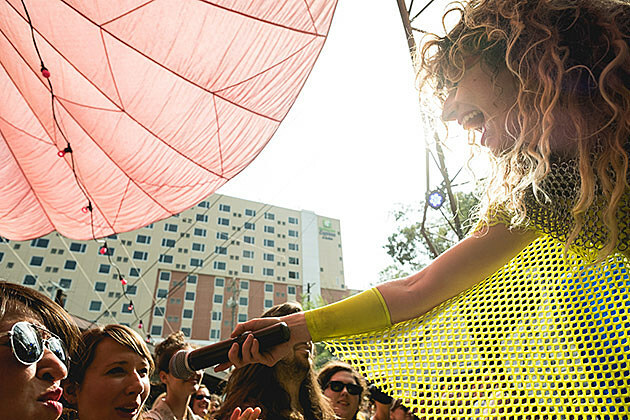 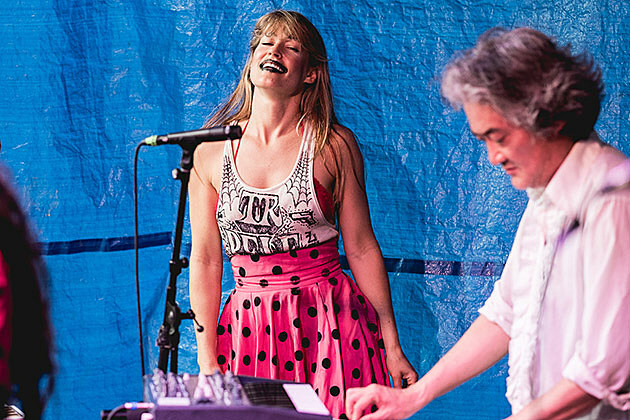 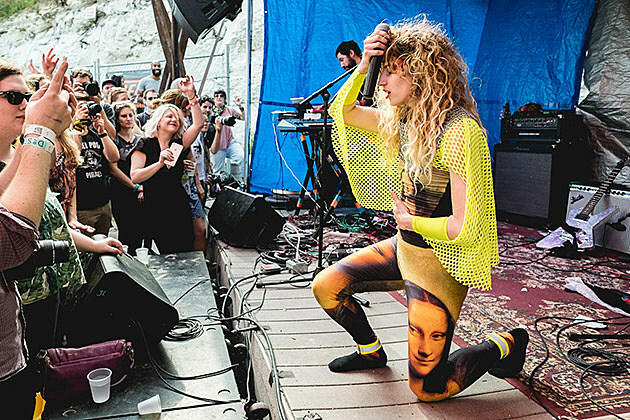 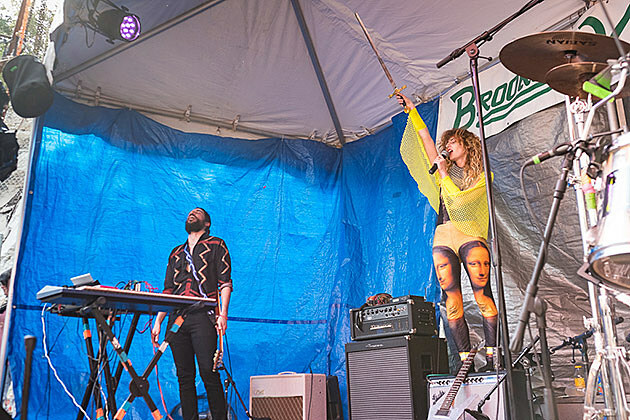 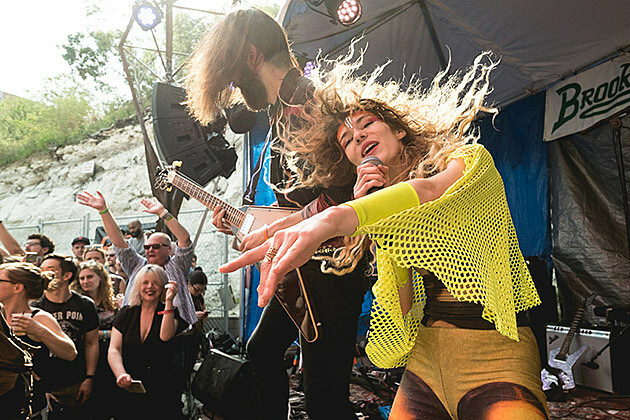 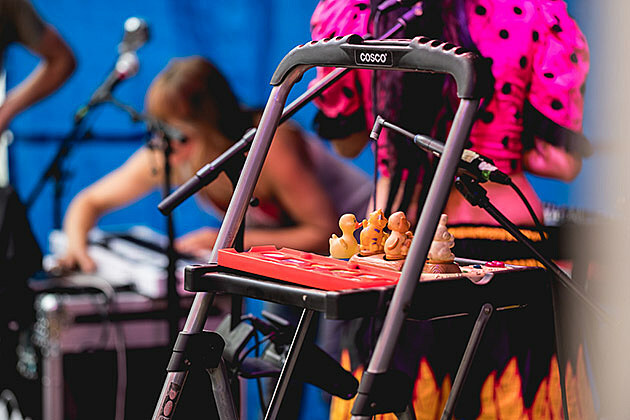 First Brooklyn’s Prince Rama treated us to their wild new live show, which incorporates plenty off the recently-released Xtreme Now, their most accessible album to date. 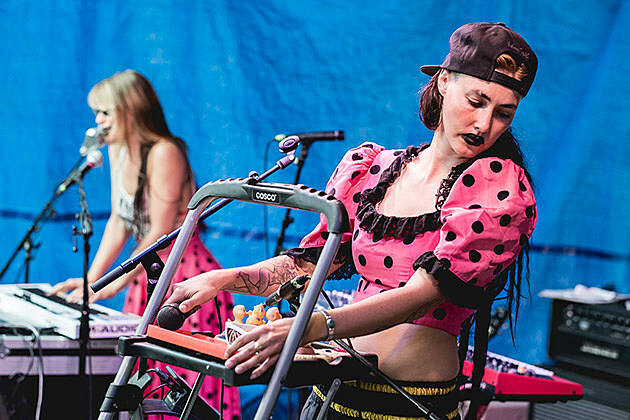 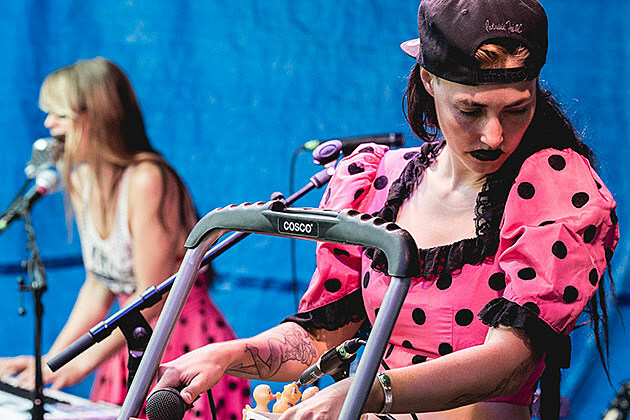 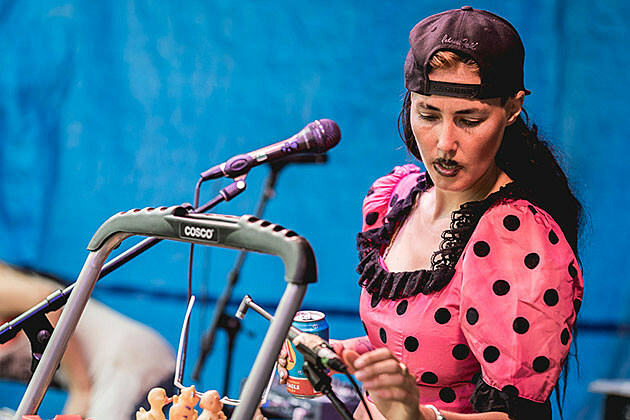 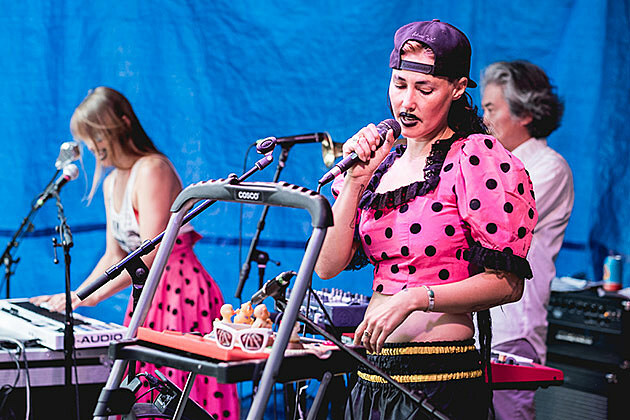 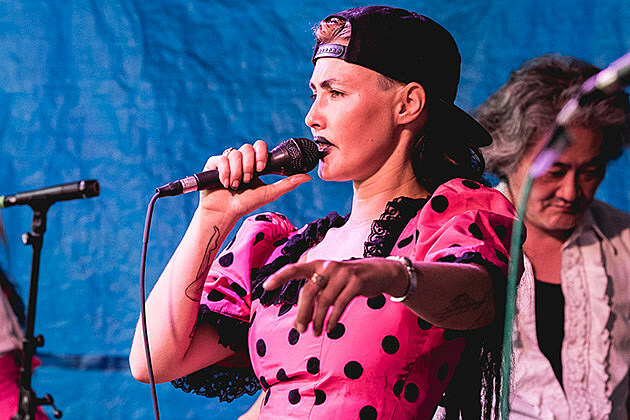 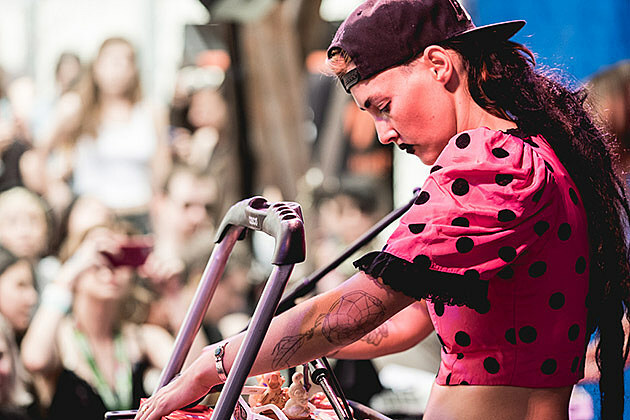 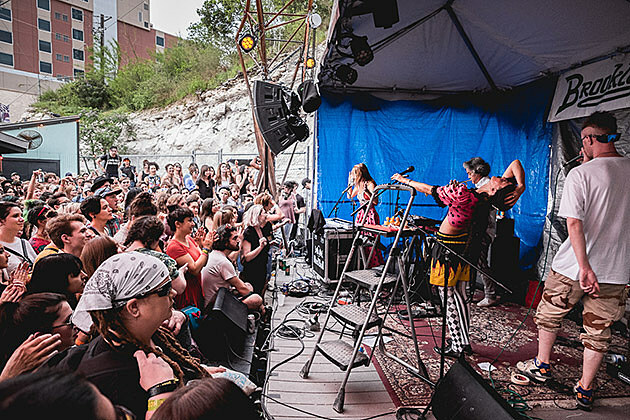 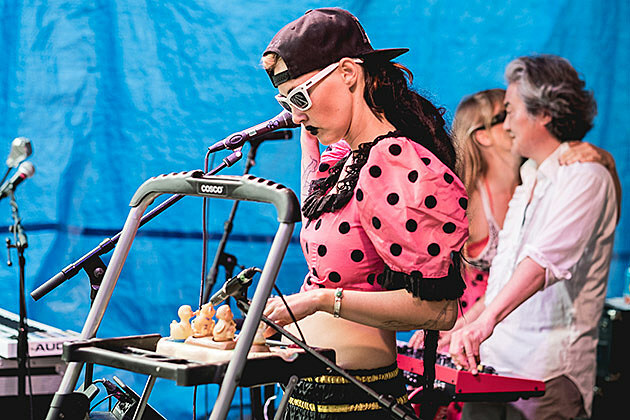 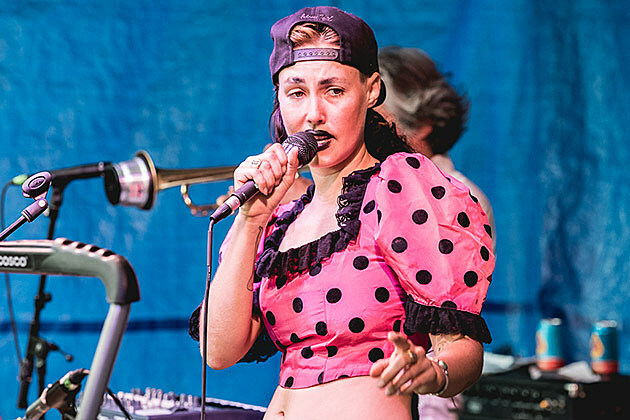 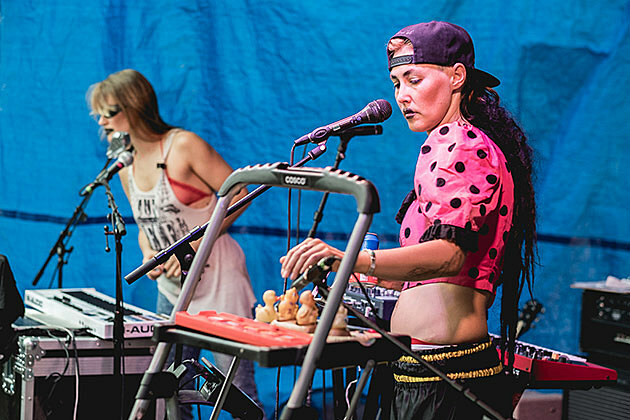 Then to wrap up the day it was the operatic, hip hop/freak folk blenders CocoRosie, who sounded great after Prince Rama and who definitely had a few diehards in the audience. 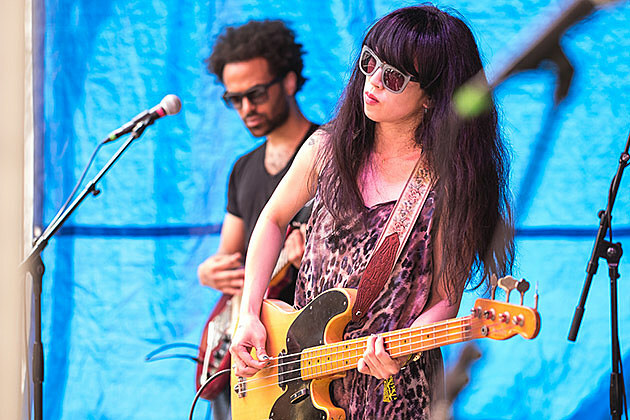 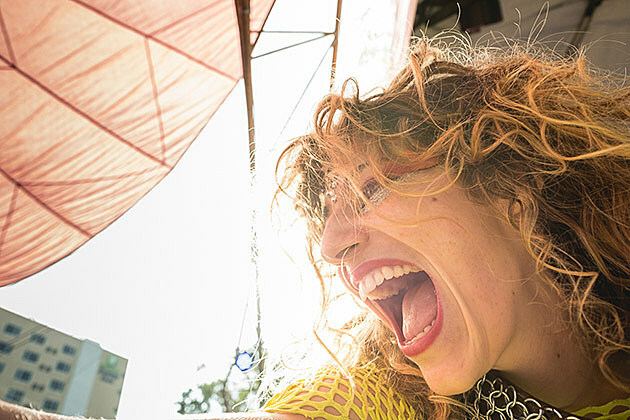 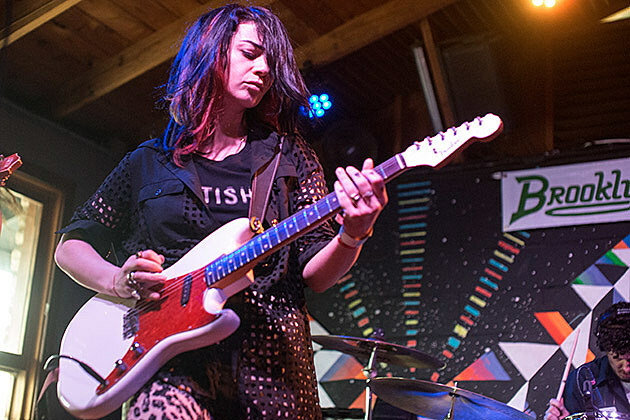 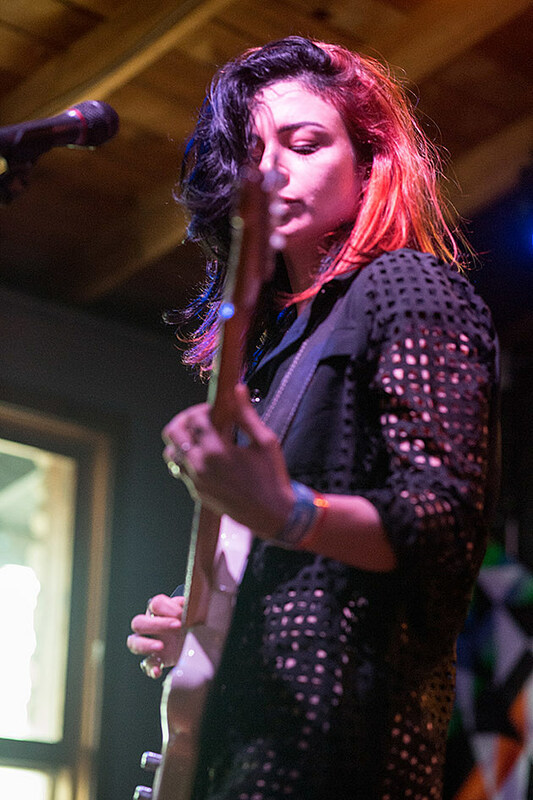 On the inside stage, the day began with two Israeli artists (co-presented by Israeli fest Tune In Tel Aviv): shoegazers Vaadat Charigim and eccentric pop singer (and Steven Wilson collaborator) Ninet Tayeb. 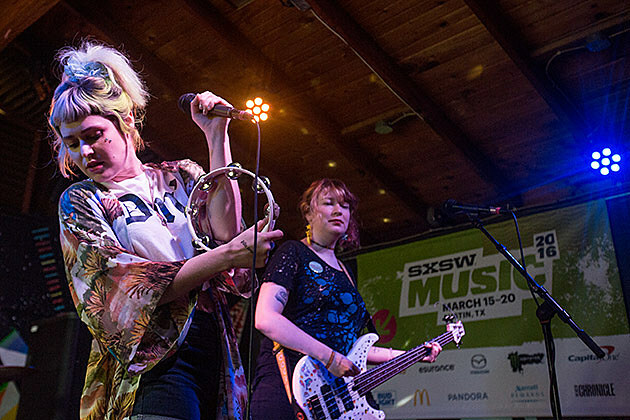 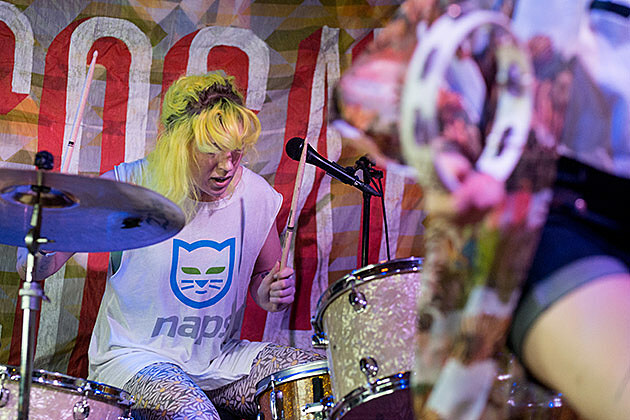 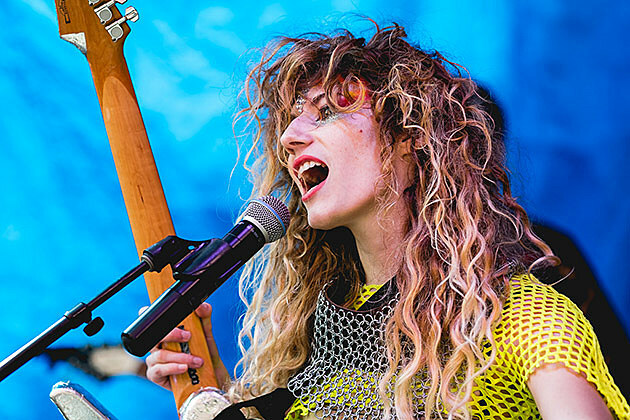 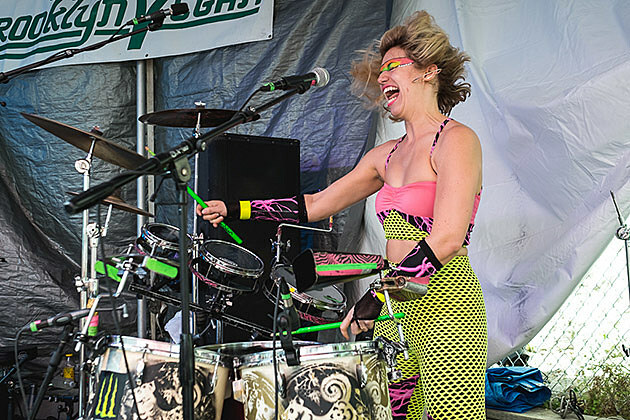 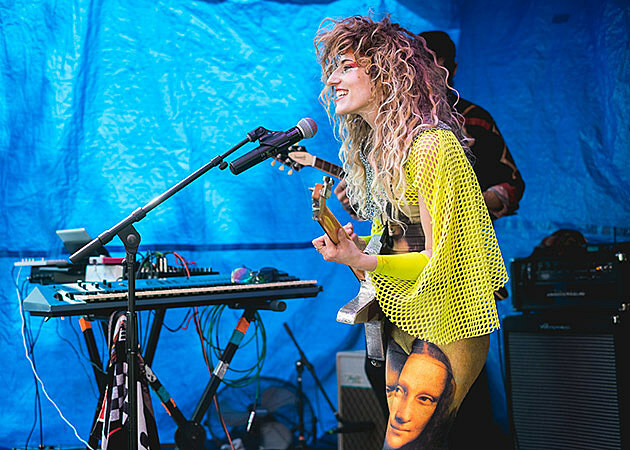 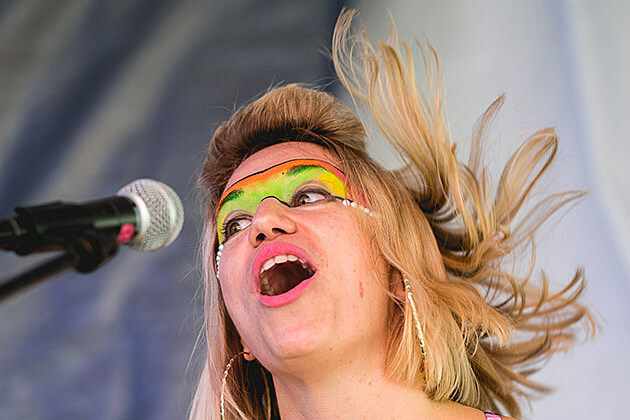 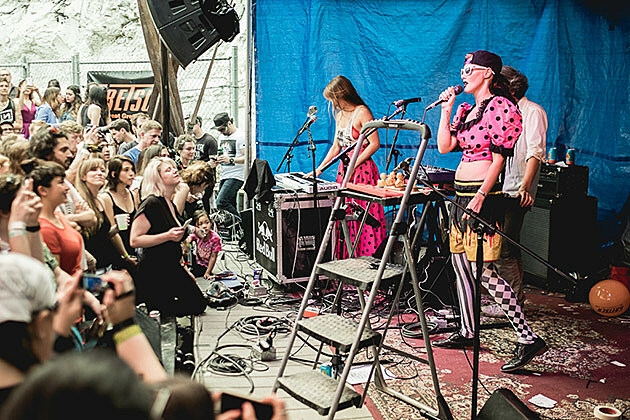 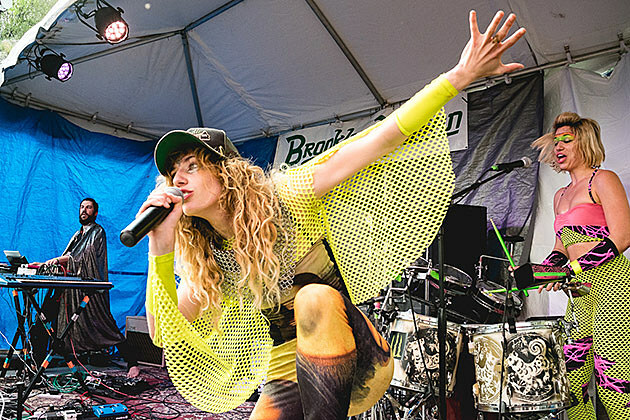 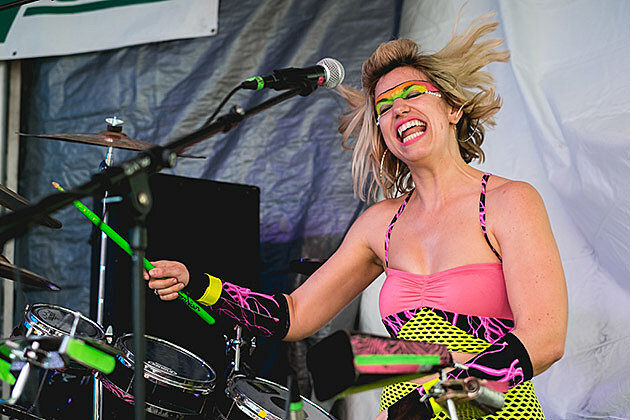 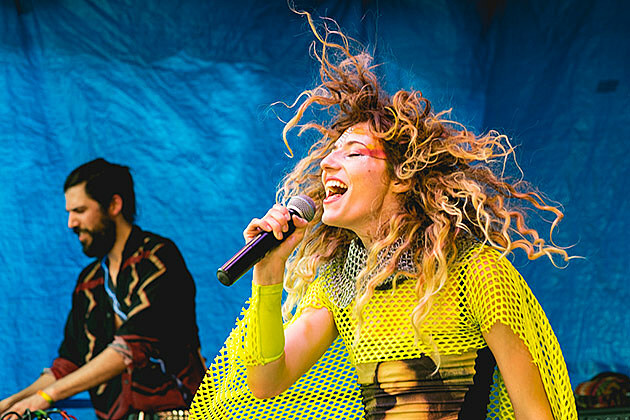 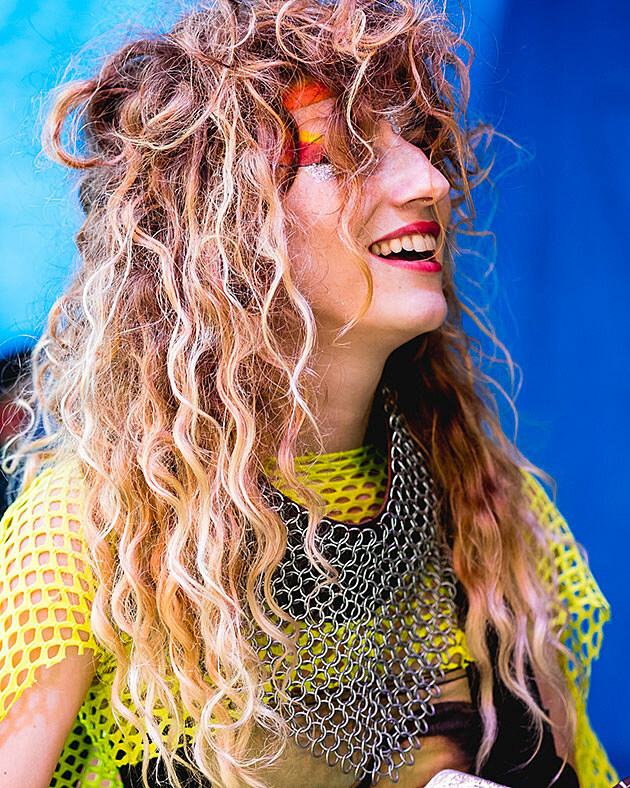 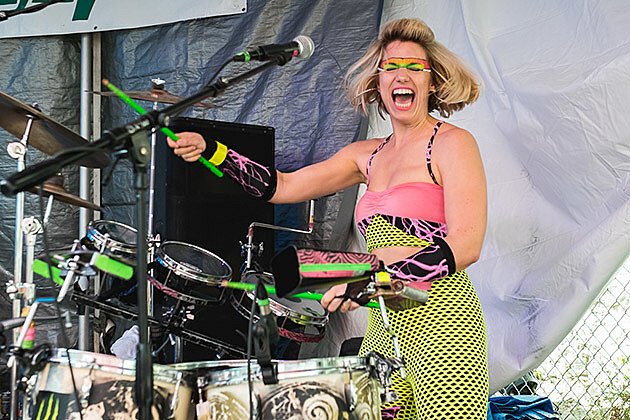 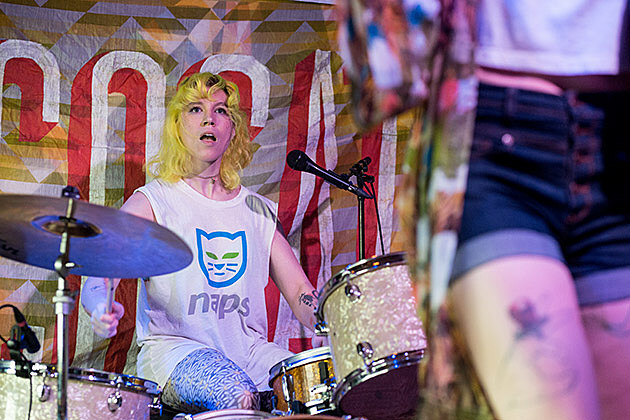 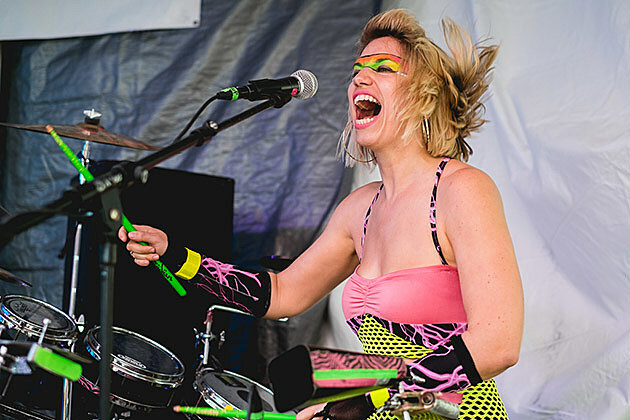 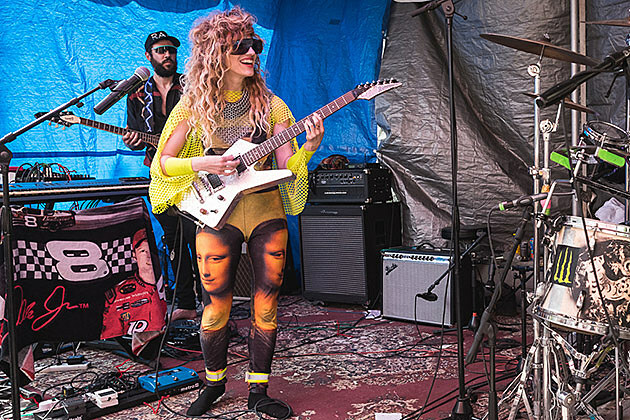 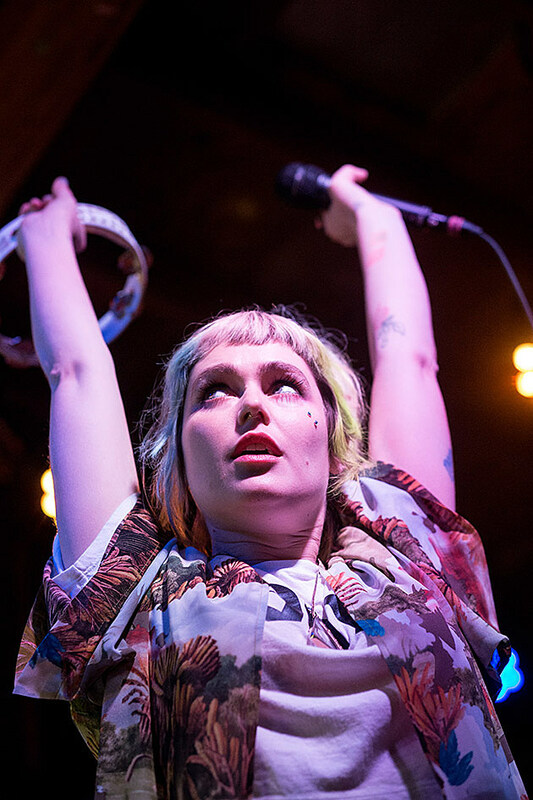 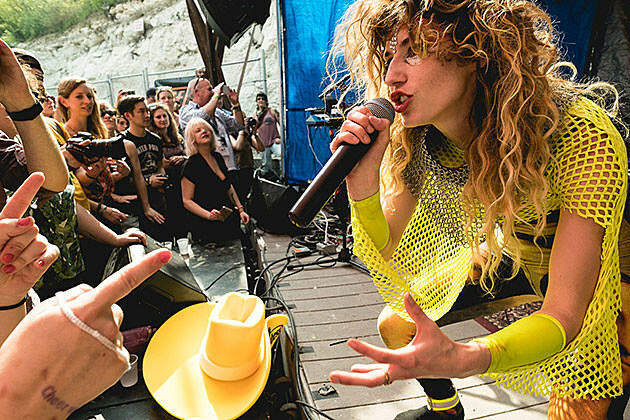 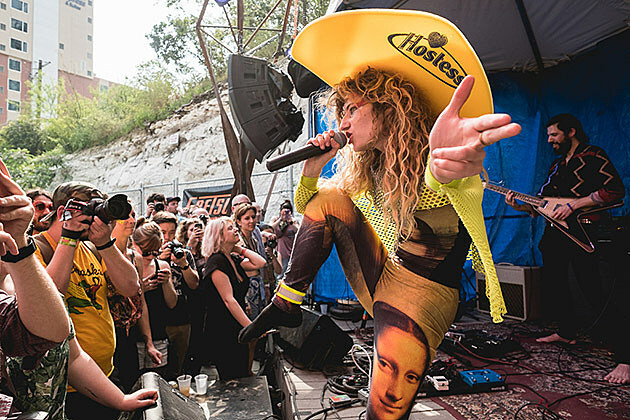 Then the energy rose for feminist punks Tacocat, whose great hooks and the singer’s killer stage presence made for one of the day’s most enjoyable sets. 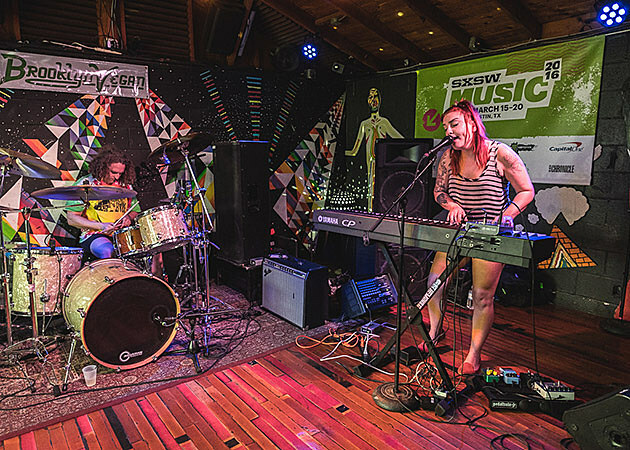 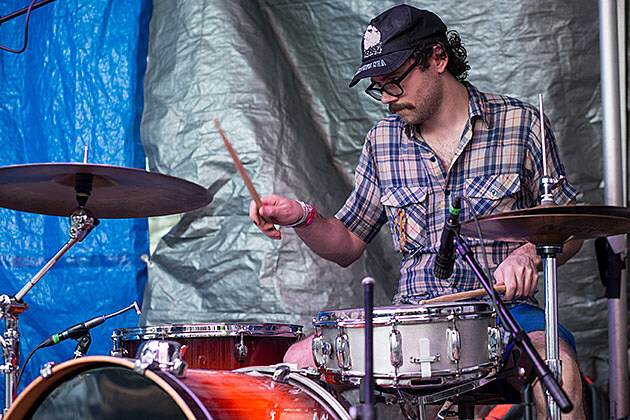 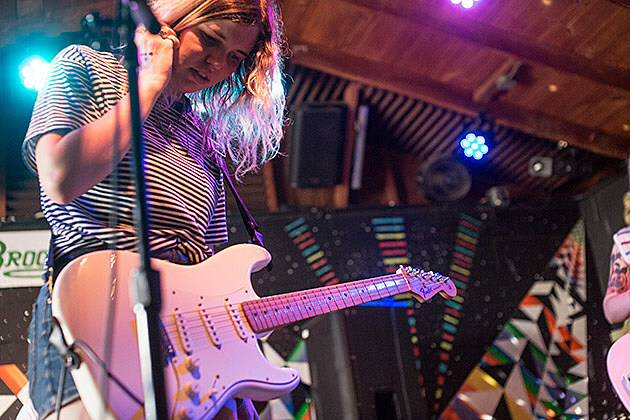 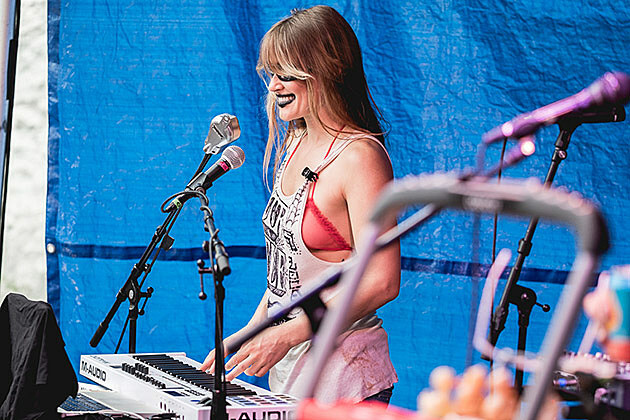 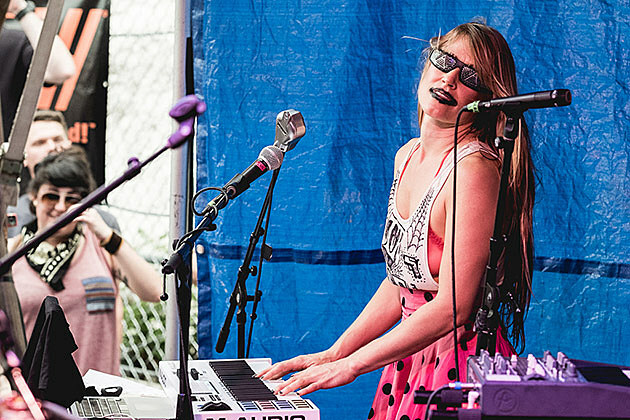 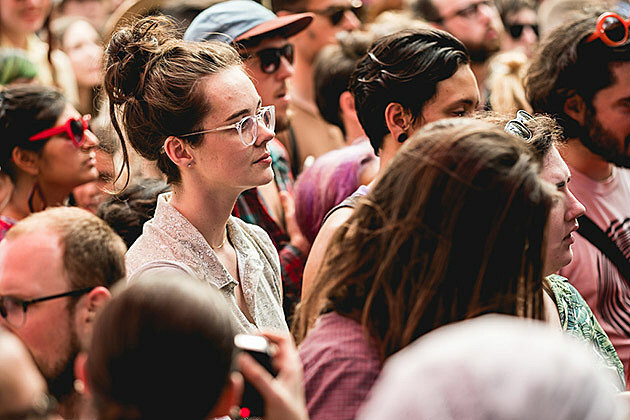 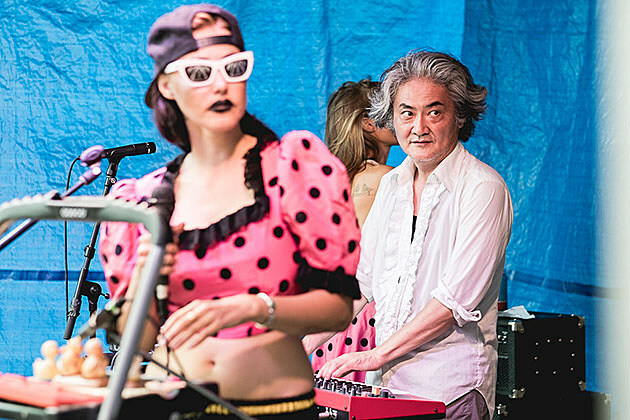 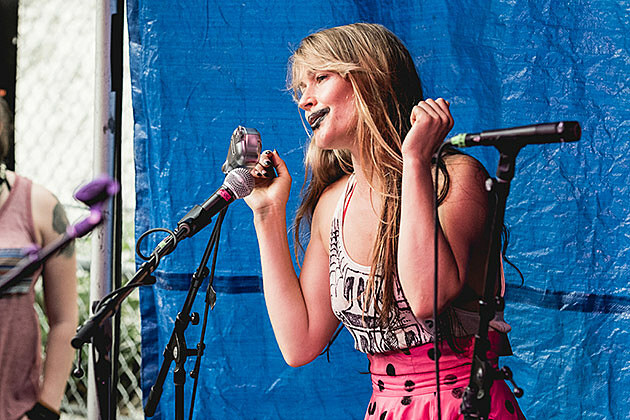 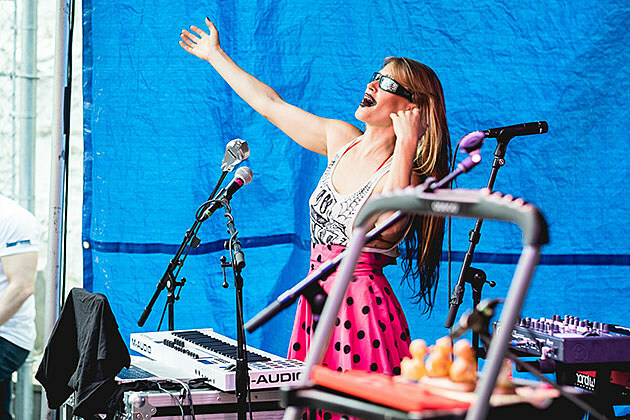 They were followed by another endlessly energetic band, Slingshot Dakota, who only use piano and drums yet sound like a louder rock band than some guitar-based five-pieces. 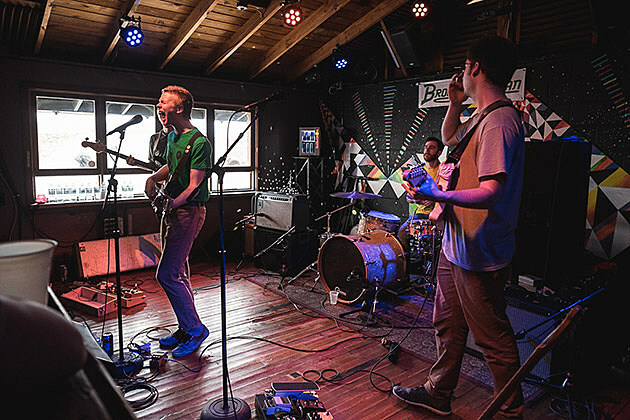 After SD, it was my personal favorite set of the day: Pinegrove. 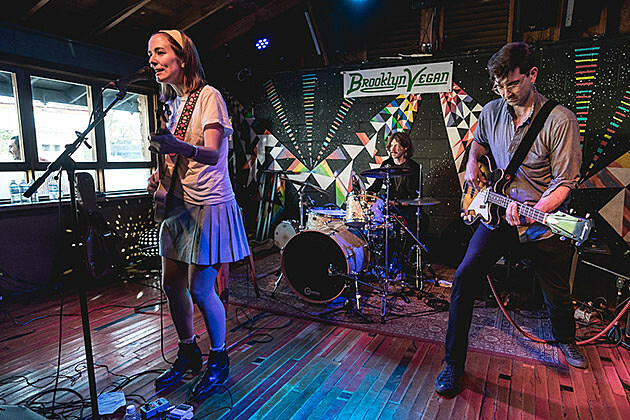 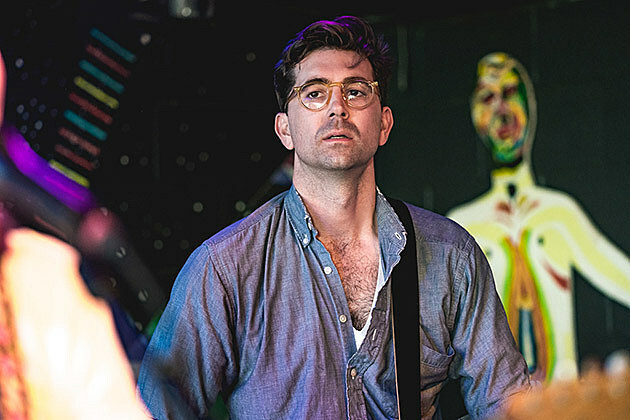 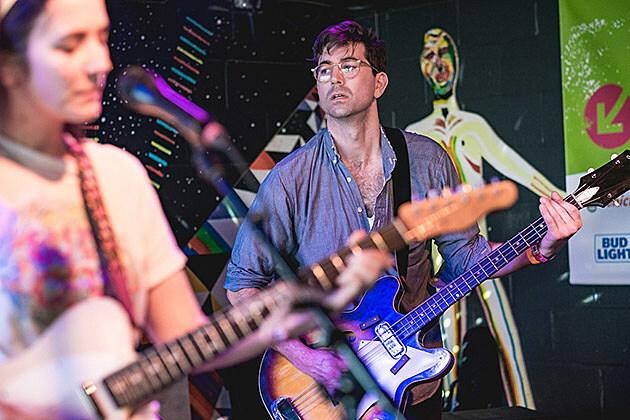 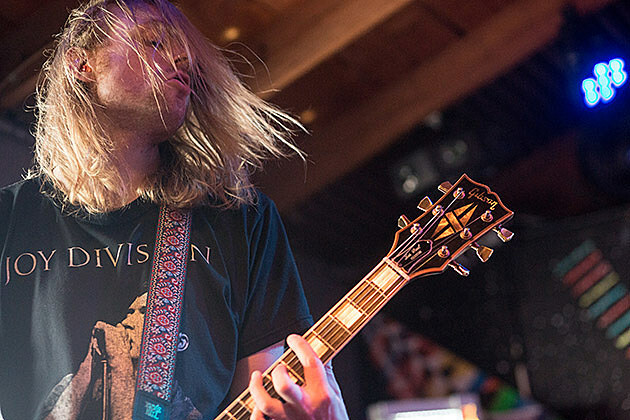 Their new album Cardinal has quickly become one of my favorites of the year so far, with its alt-country-meets-DIY-punk and the kind of lyrics you can obsess over, and those songs came across terrifically on Friday. 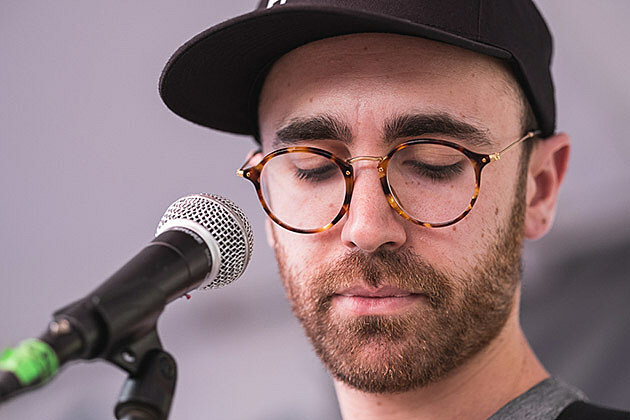 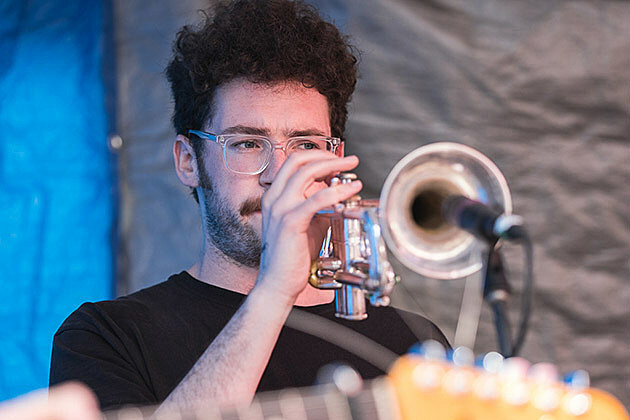 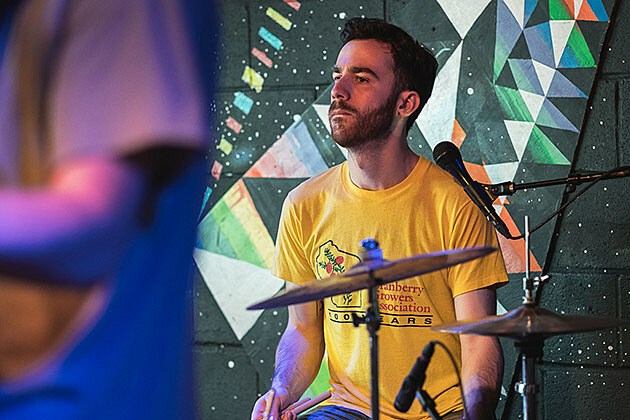 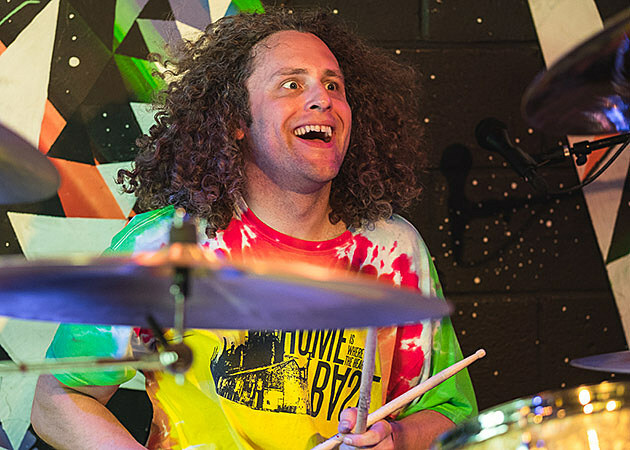 It’s clear that Evan Stephens Hall is a natural on stage, leading his band with ease, belting out those high notes, and cracking hilarious jokes with the crowd. 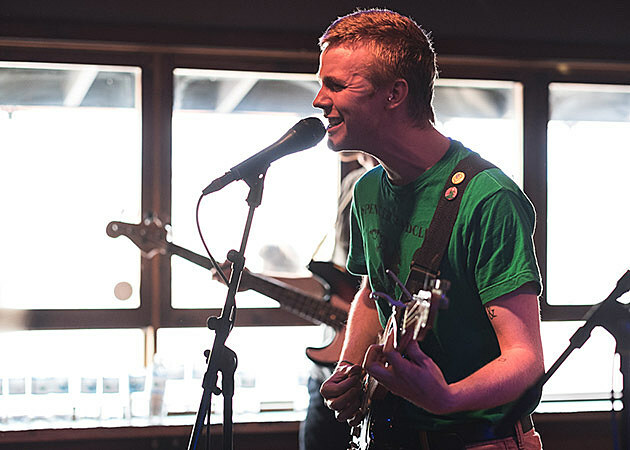 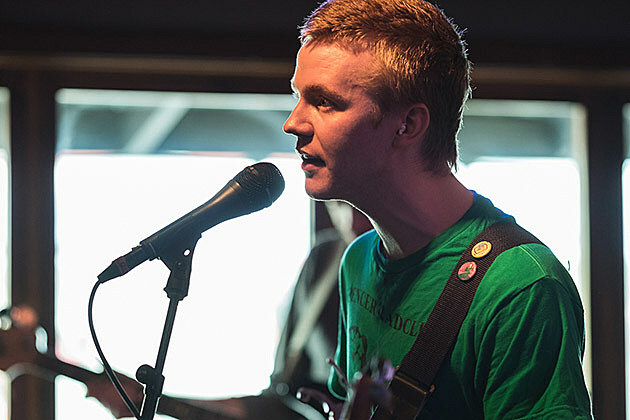 Leaning even more on the DIY punk side, All Dogs followed Pinegrove and were great as ever. 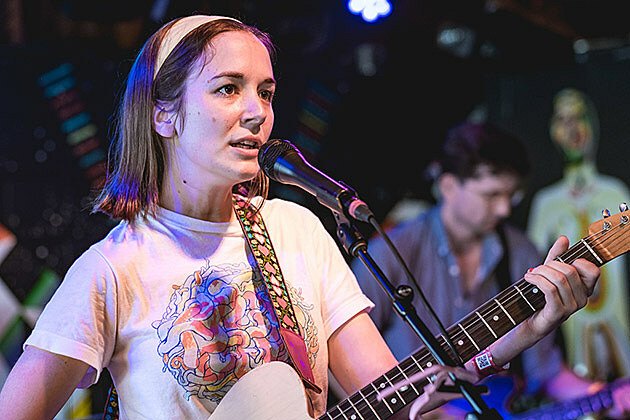 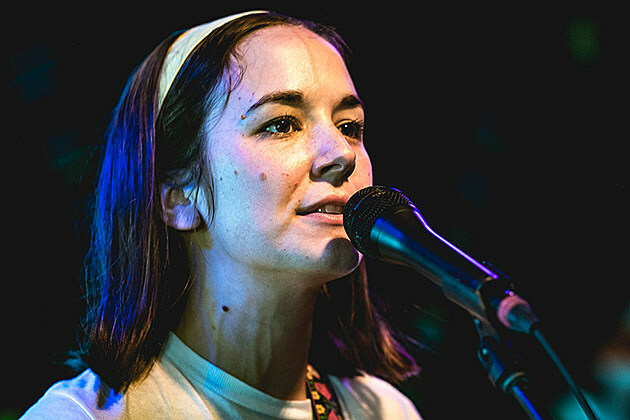 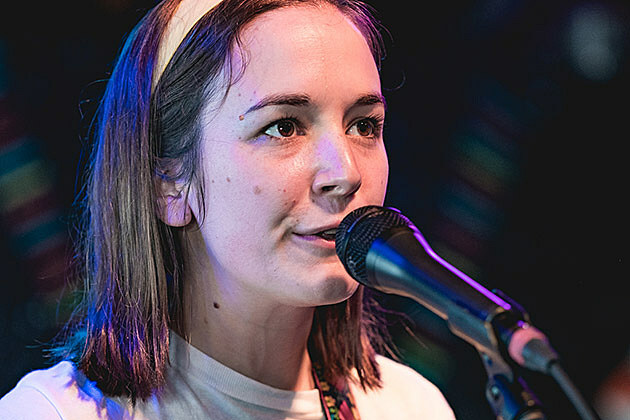 Then the vibe calmed down a bit for singer/songwriter Margaret Glaspy, whose voice sounded fantastic. 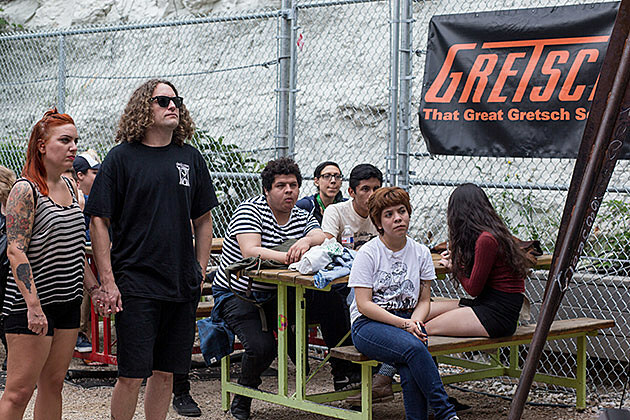 And the day wrapped up on a similar note with Kevin Morby, whose set included his excellent new single “I Have Been To The Mountain” and plenty of other great ones. 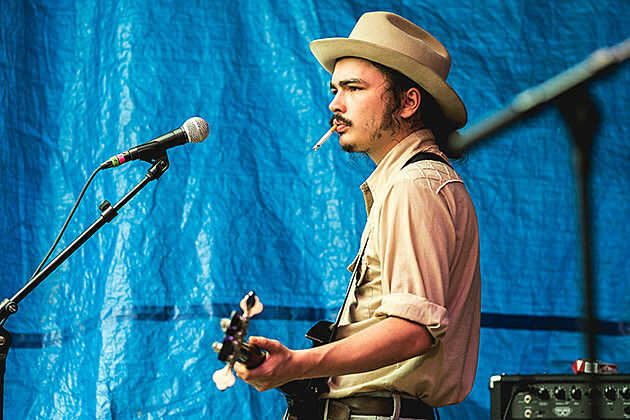 He was the perfect end to the day. 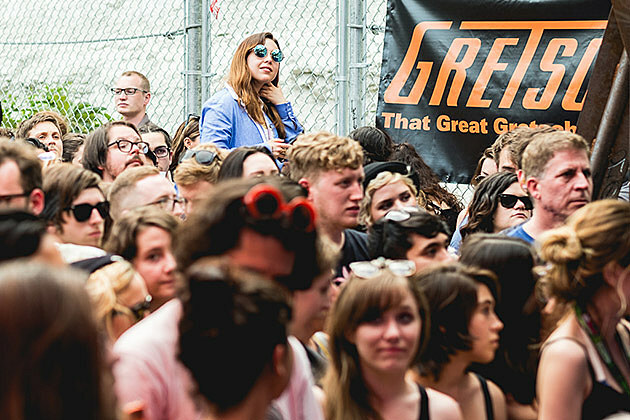 If you RSVP’d, stay tuned to find out if you won the Gretsch guitar. 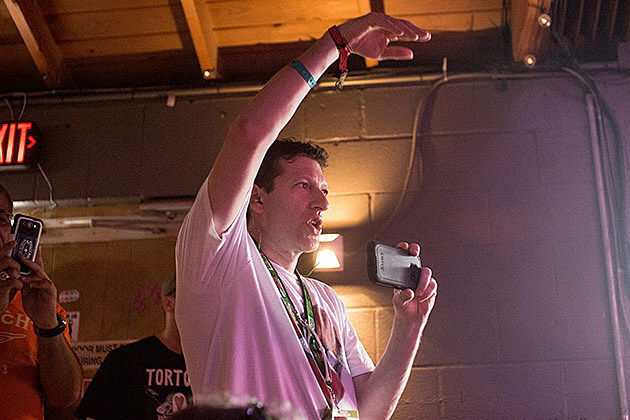 Winner will be announced after SXSW. 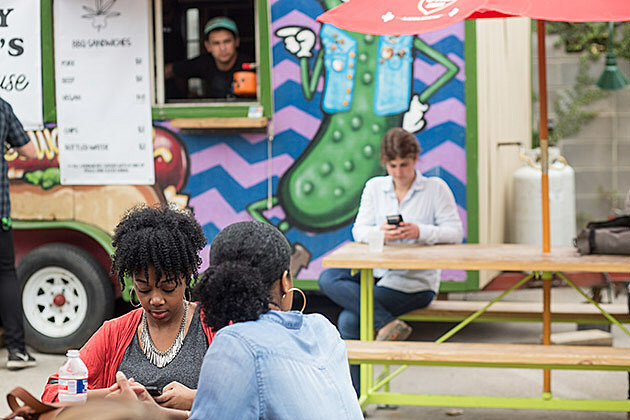 We return to the same venue today (900 Red River, right next to Mohawk) from noon-6. 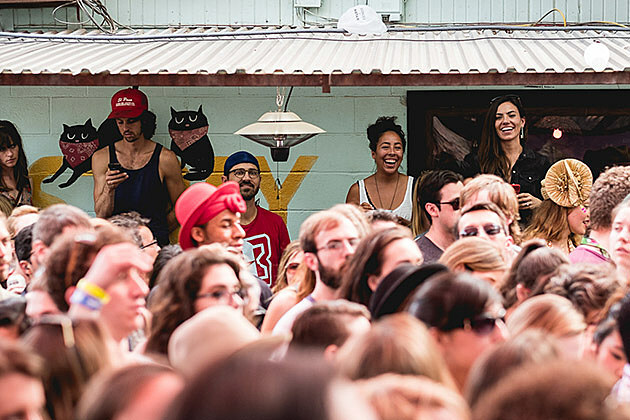 Check out the full lineup and RSVP. 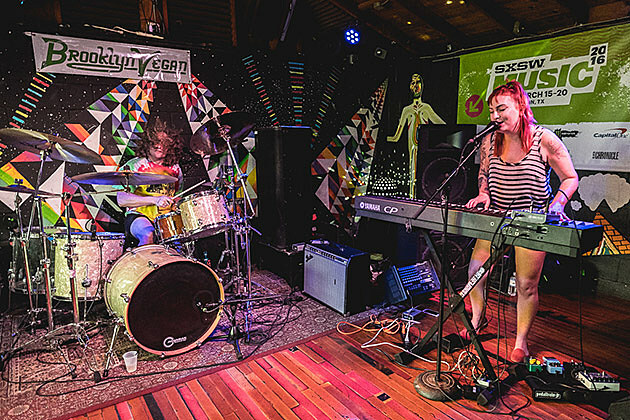 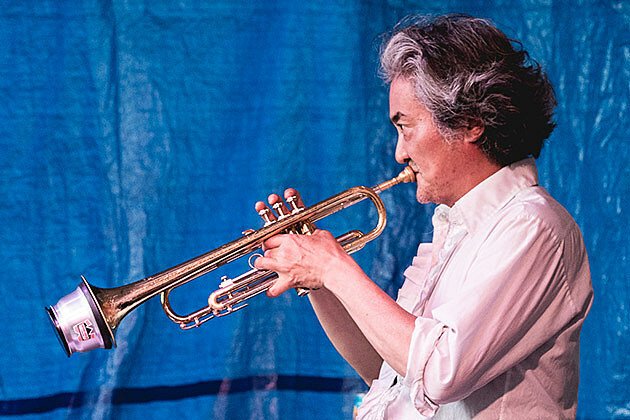 Pictures of most artists from Friday’s show are in this post, and more pictures are coming soon. 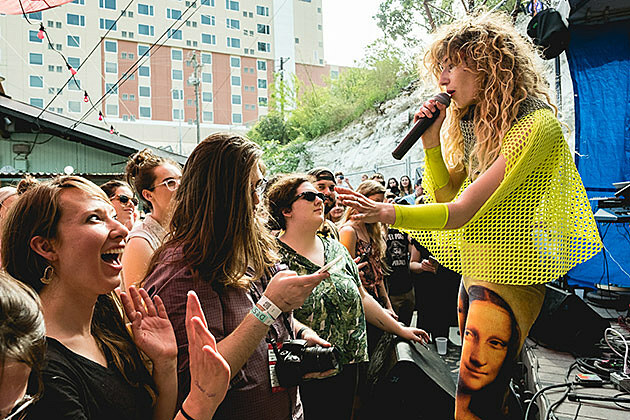 UPDATE: Pictures of all Friday artists are in this post. 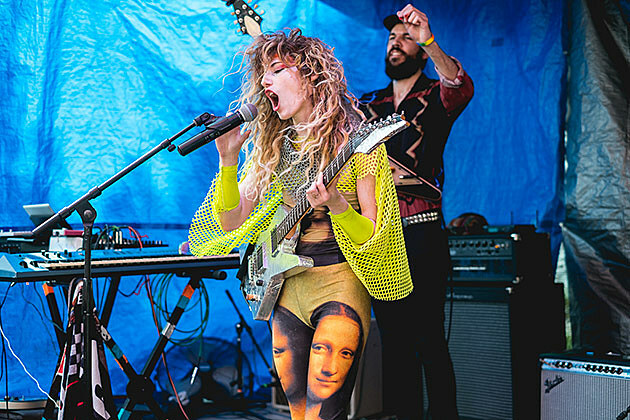 More below, and even more here. 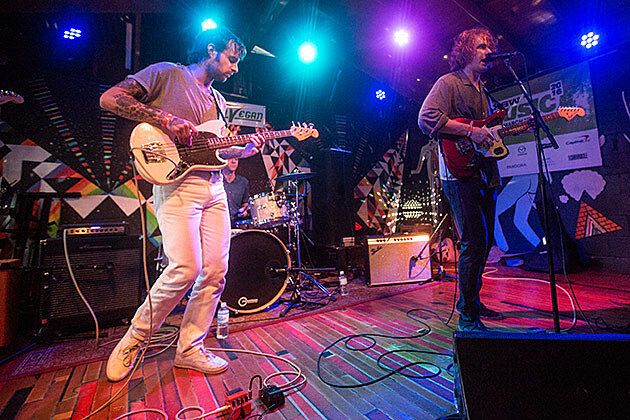 More Kevin Morby pics HERE.